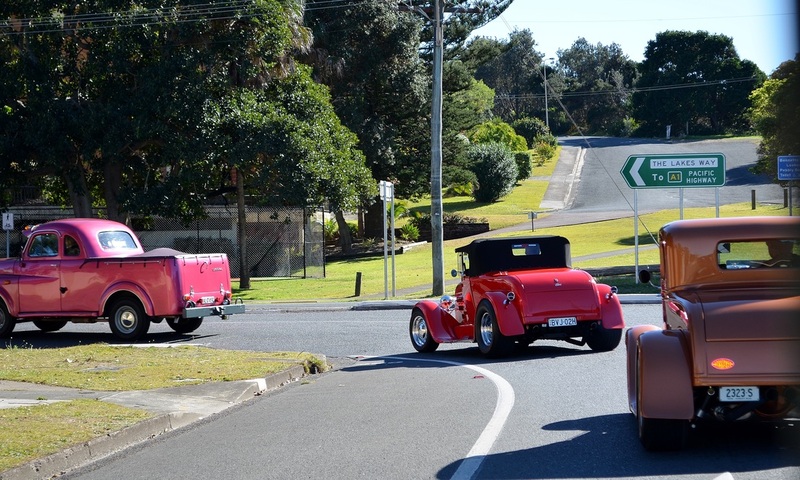 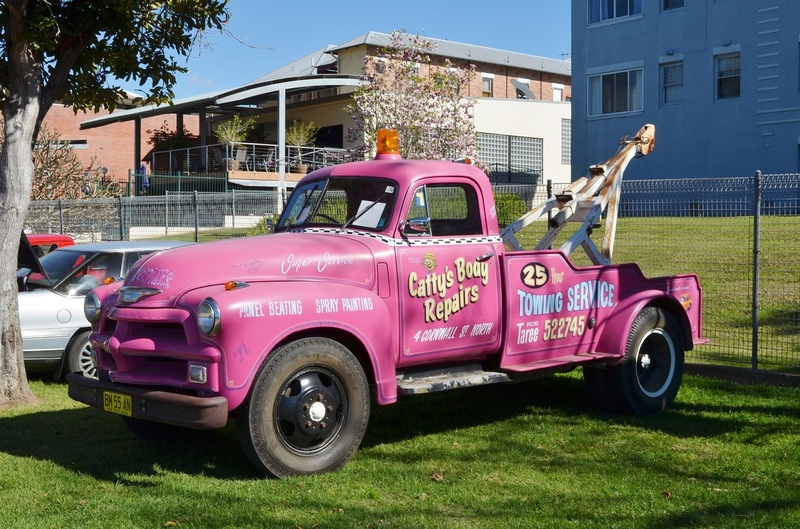 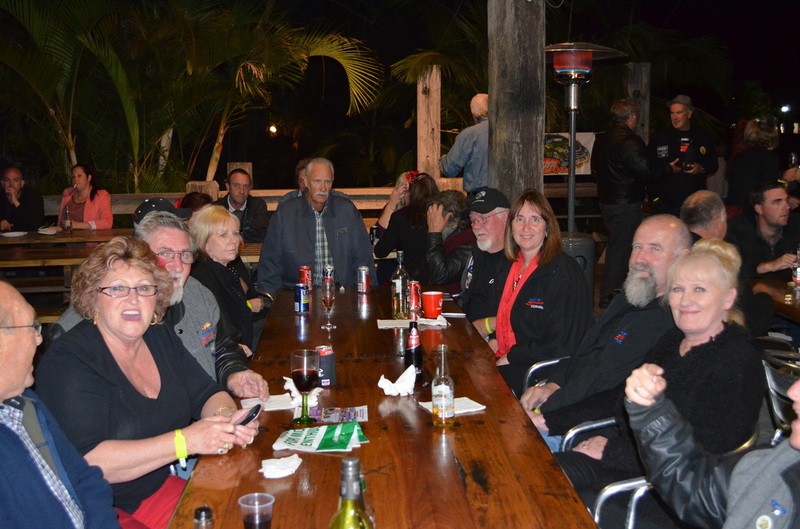 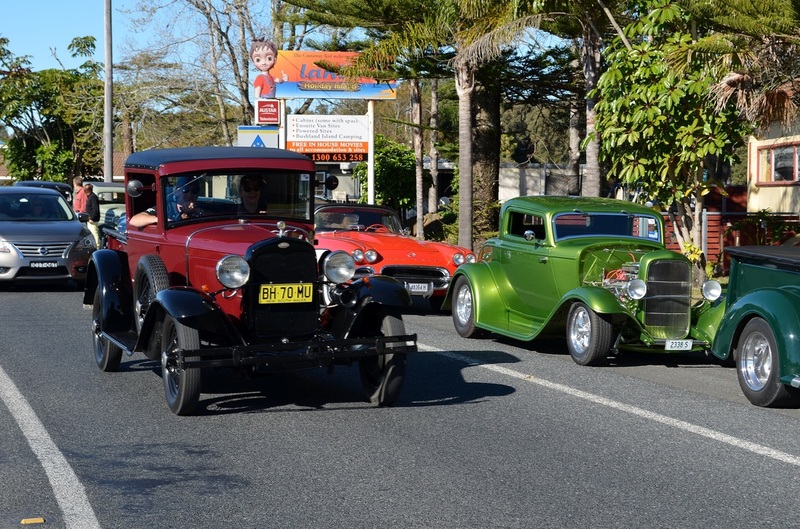 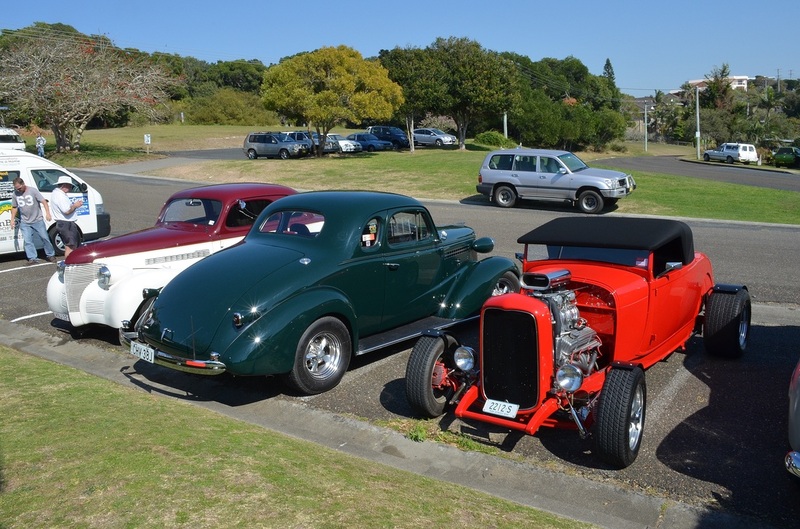 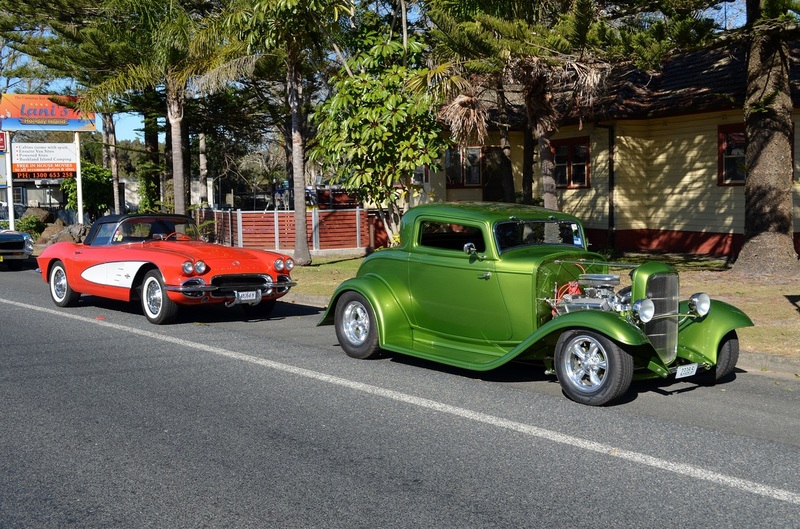 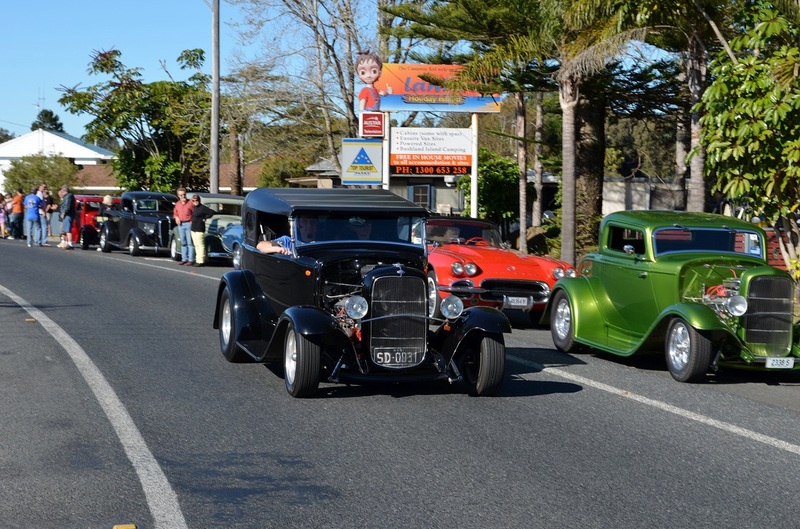 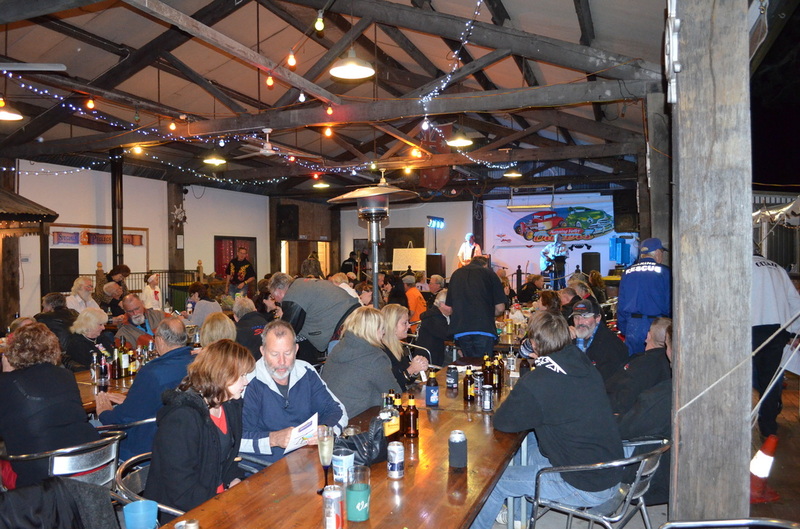 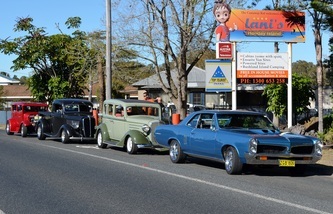 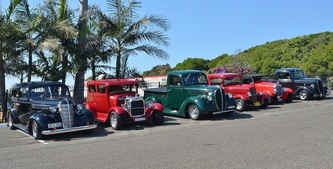 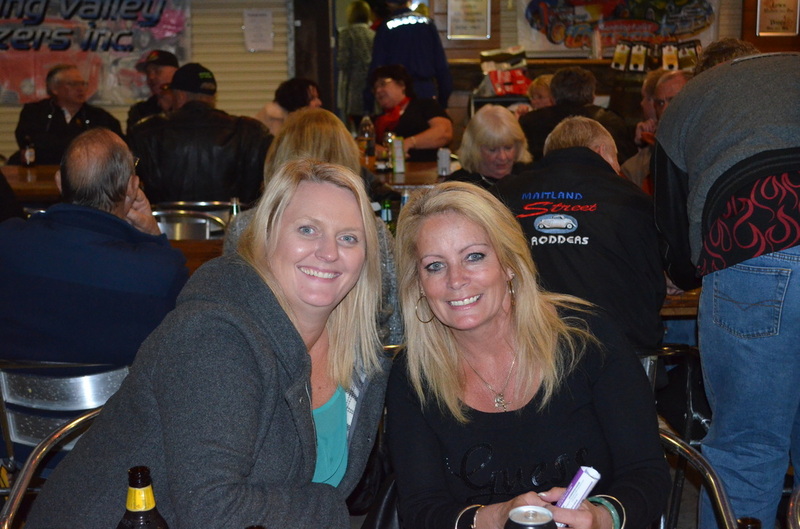 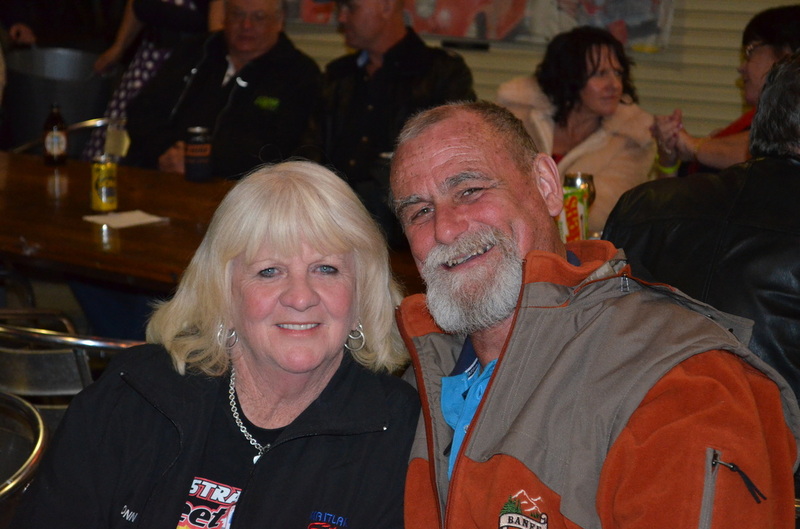 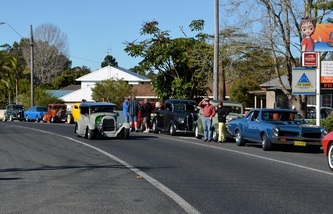 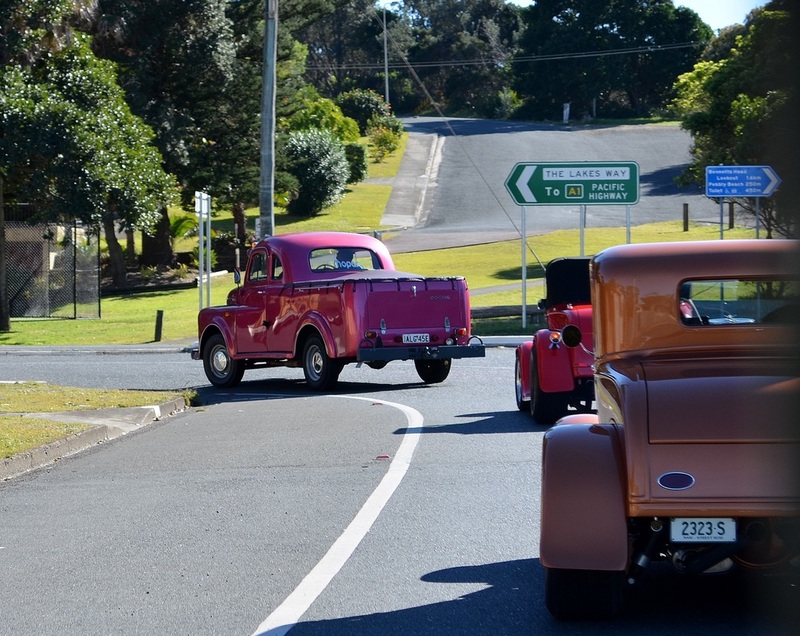 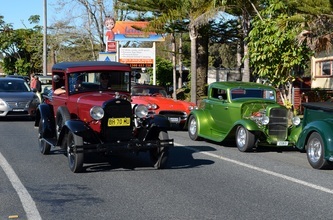 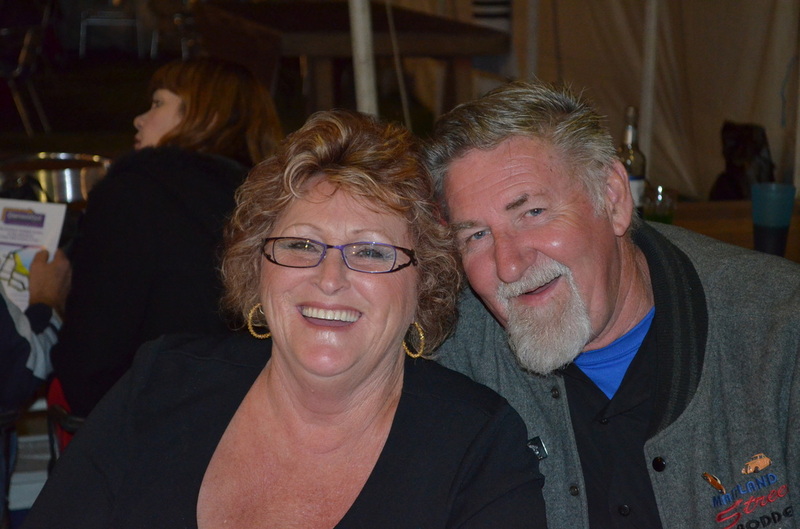 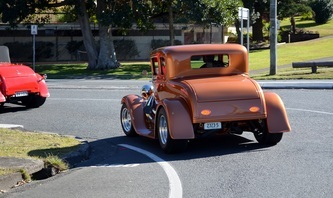 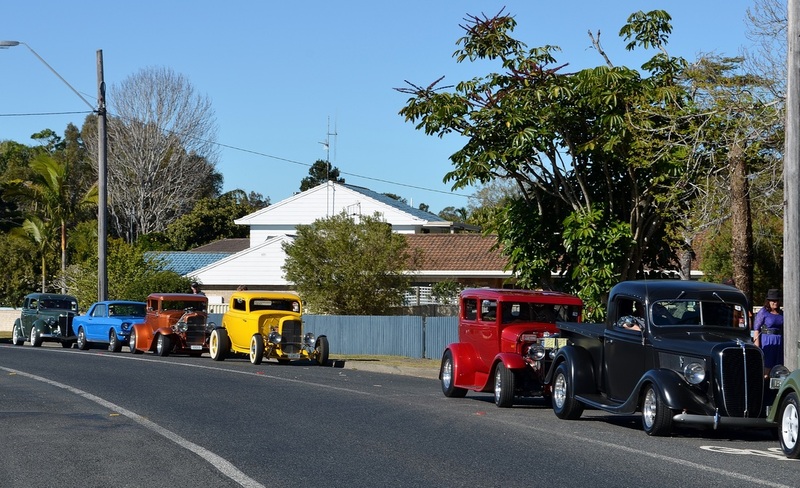 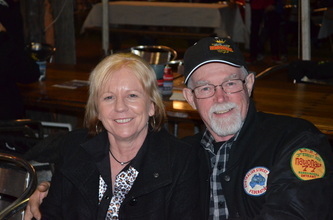 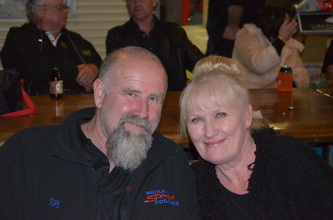 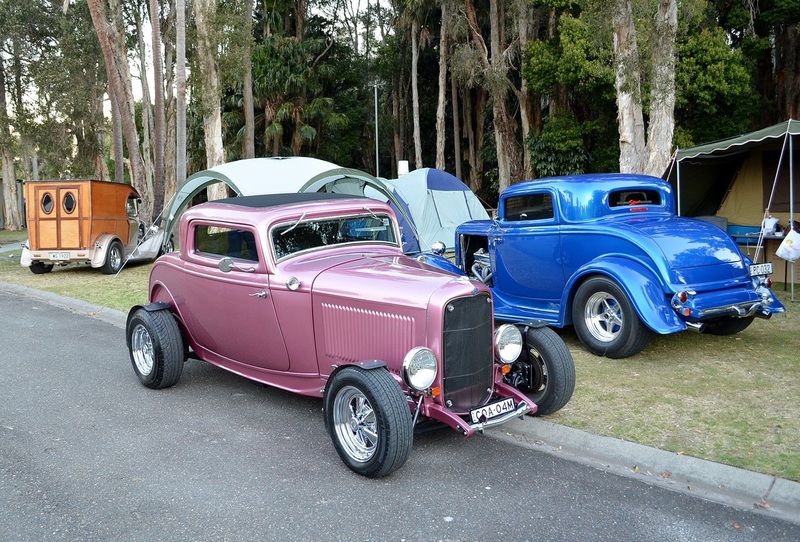 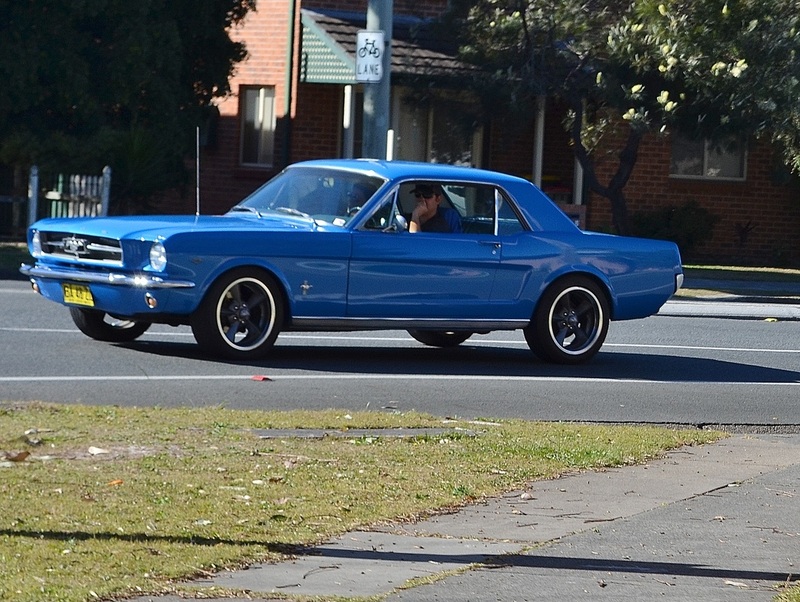 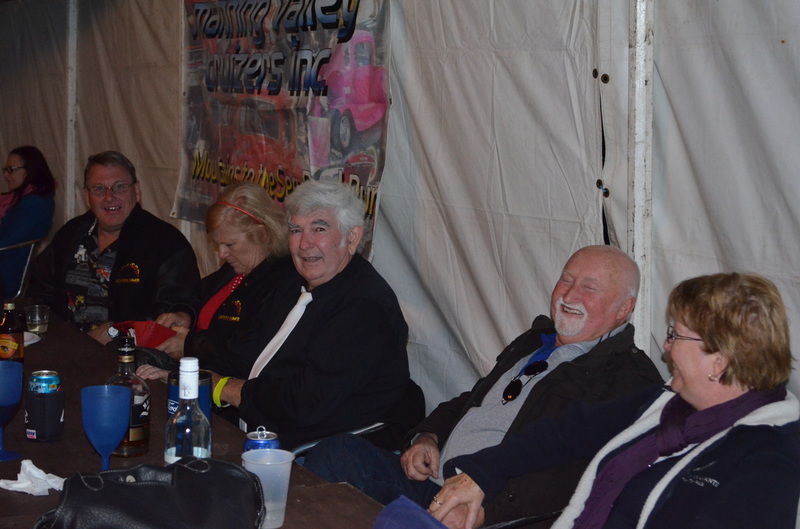 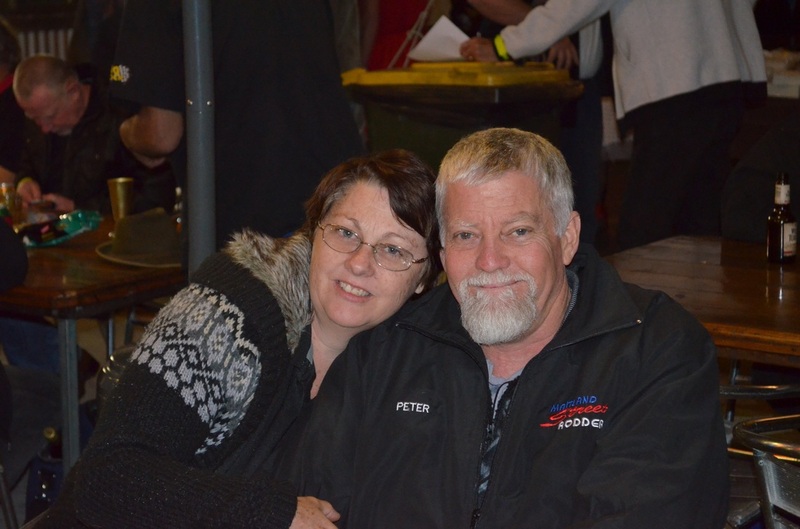 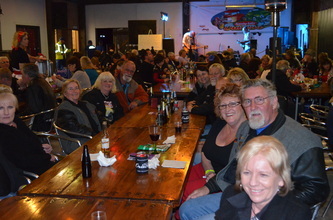 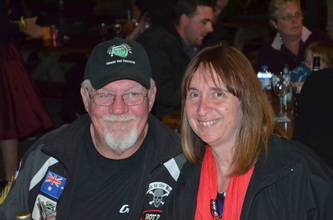 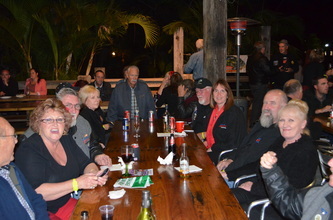 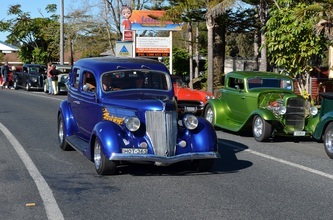 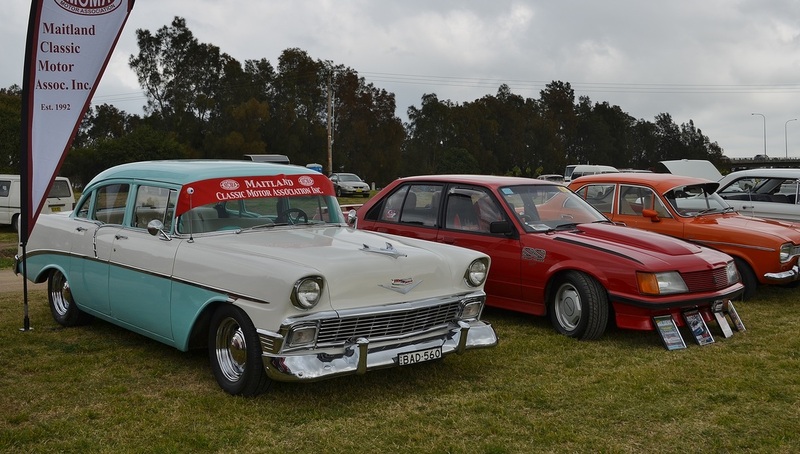 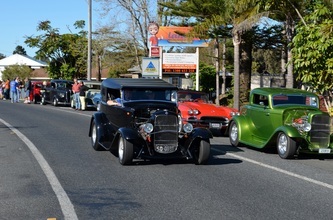 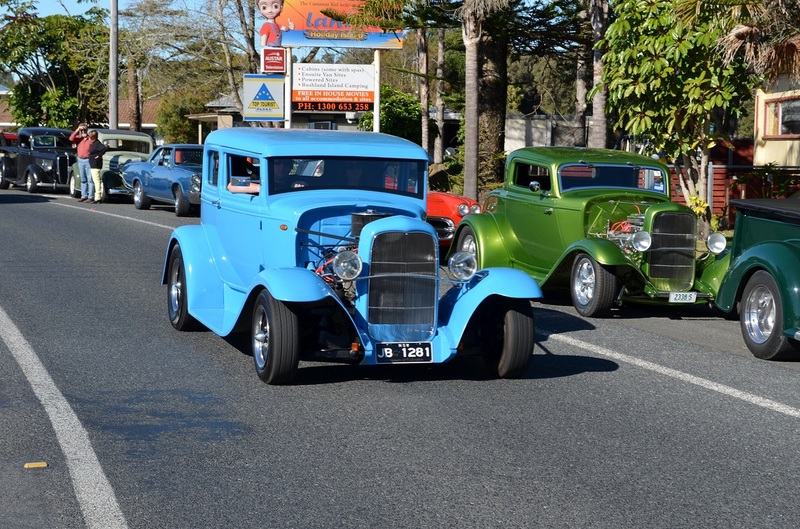 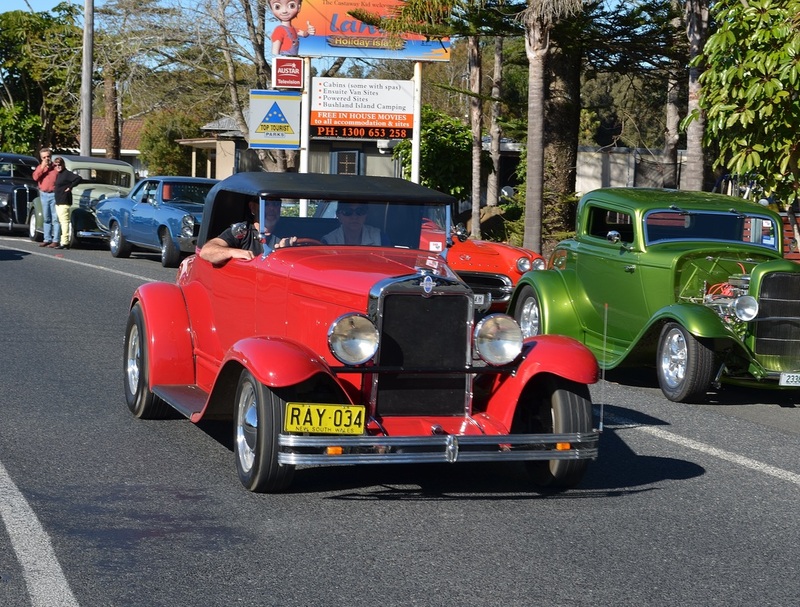 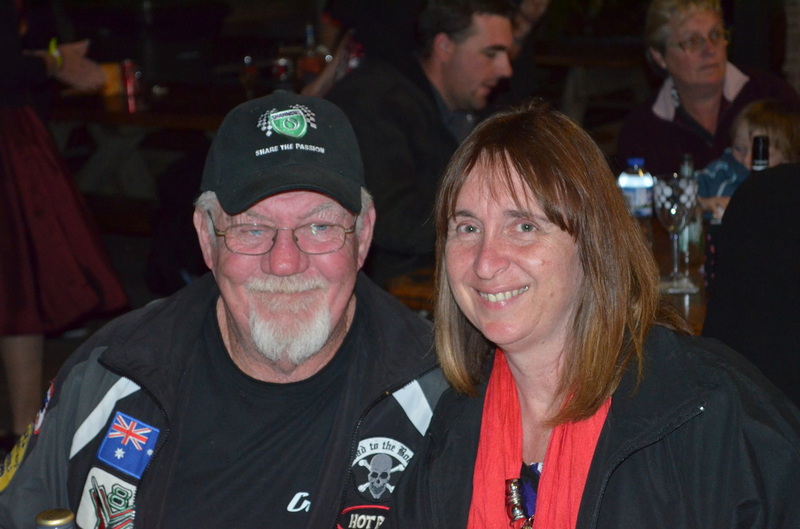 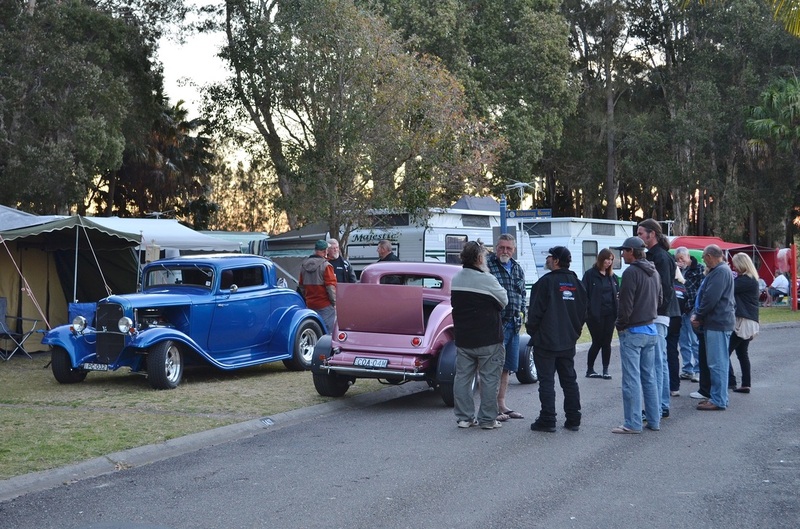 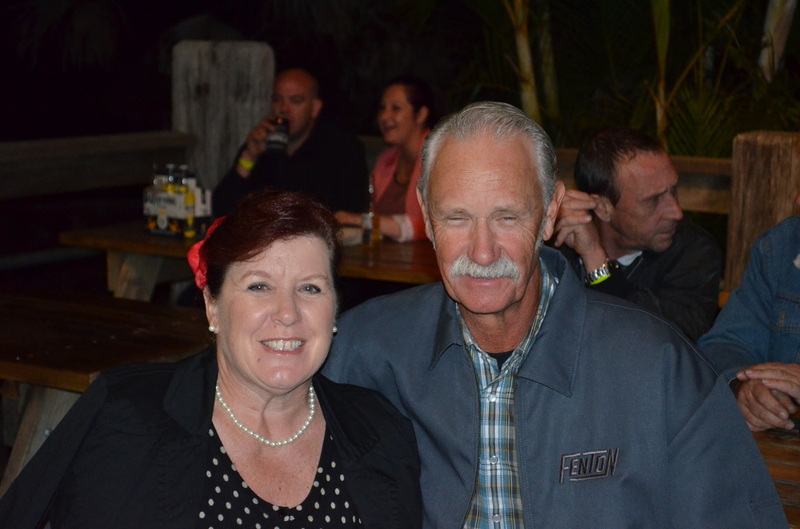 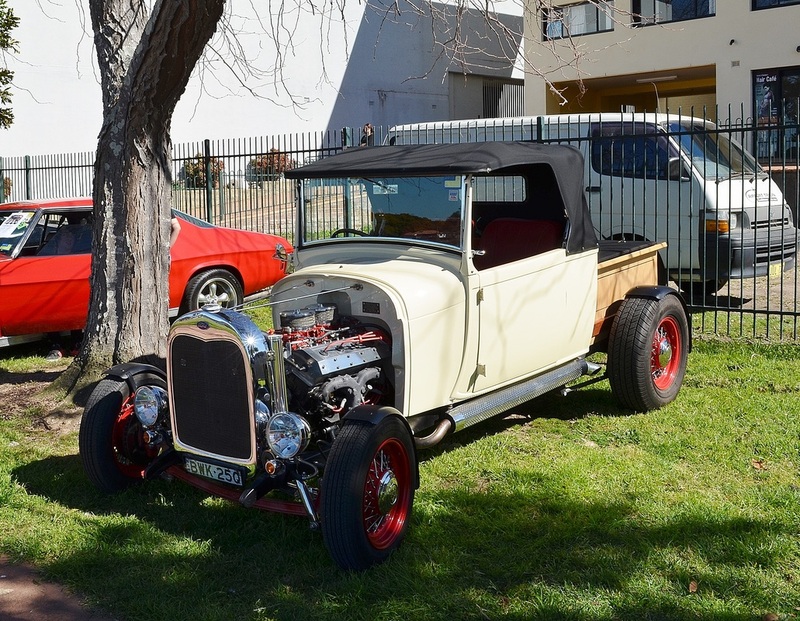 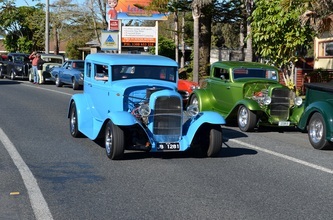 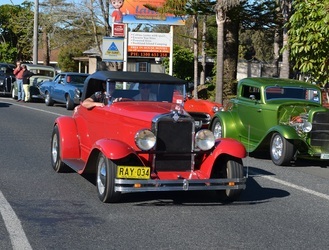 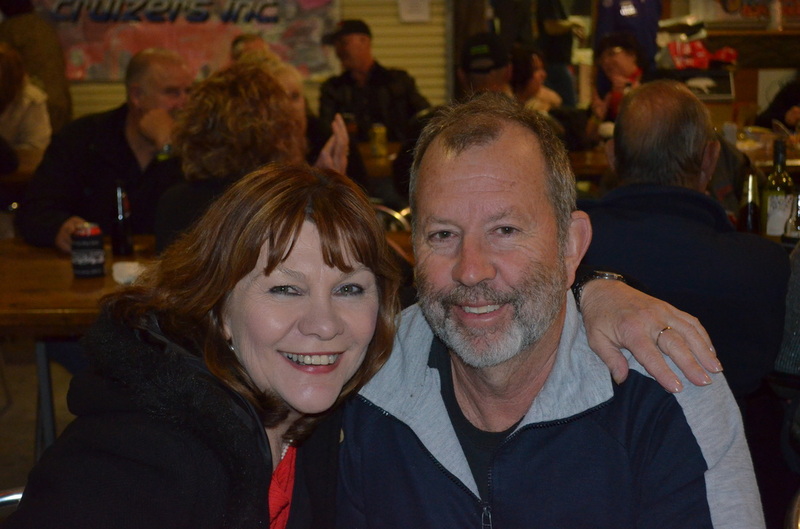 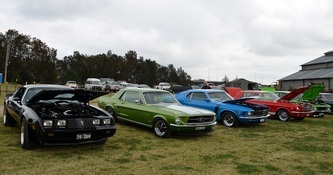 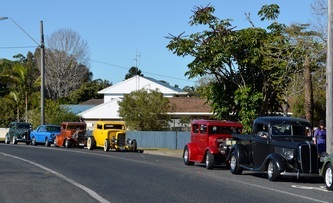 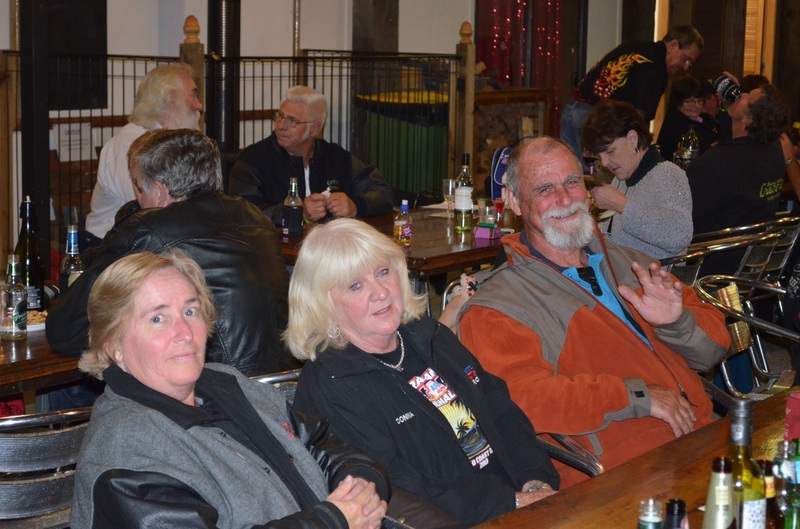 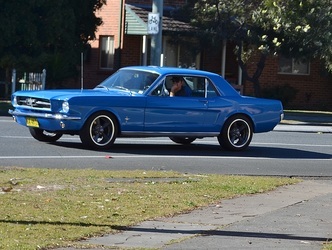 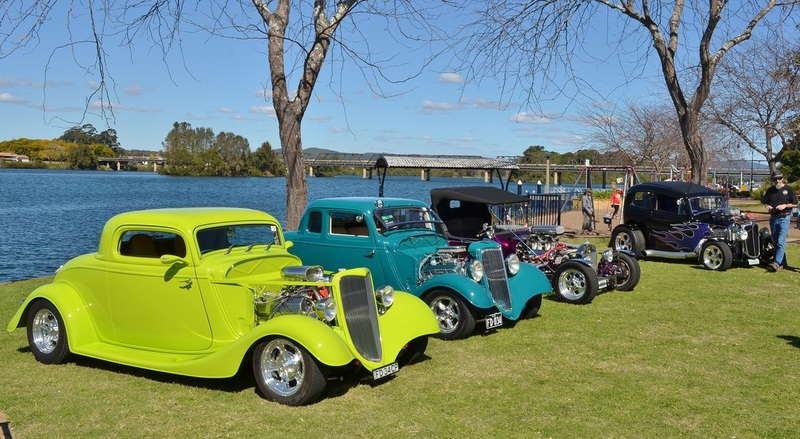 Manning Valley Cruizers put on another fantastic Mountains to the Sea Rod Run in August. 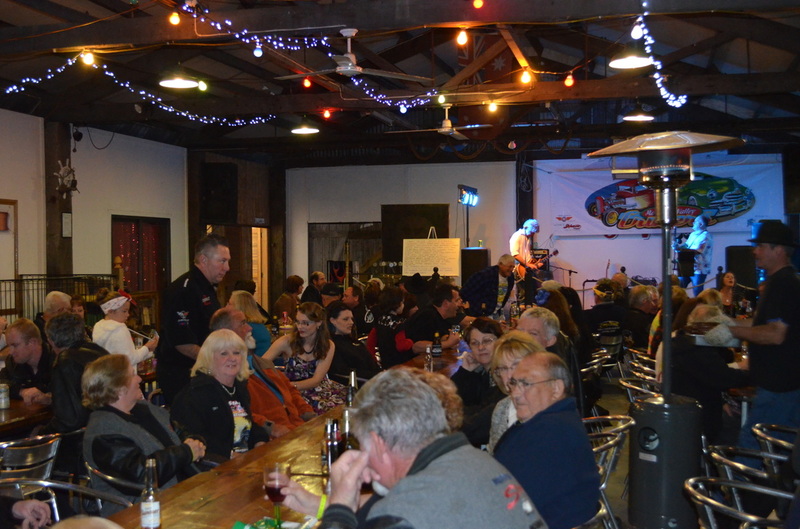 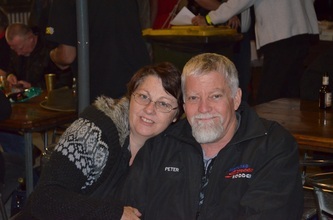 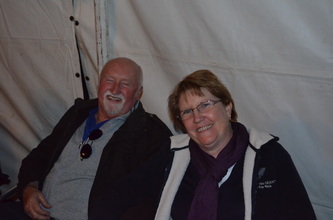 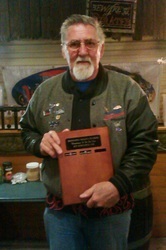 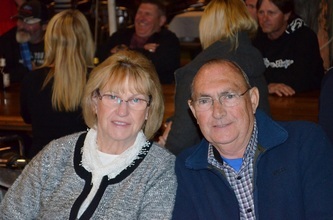 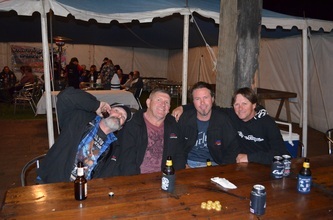 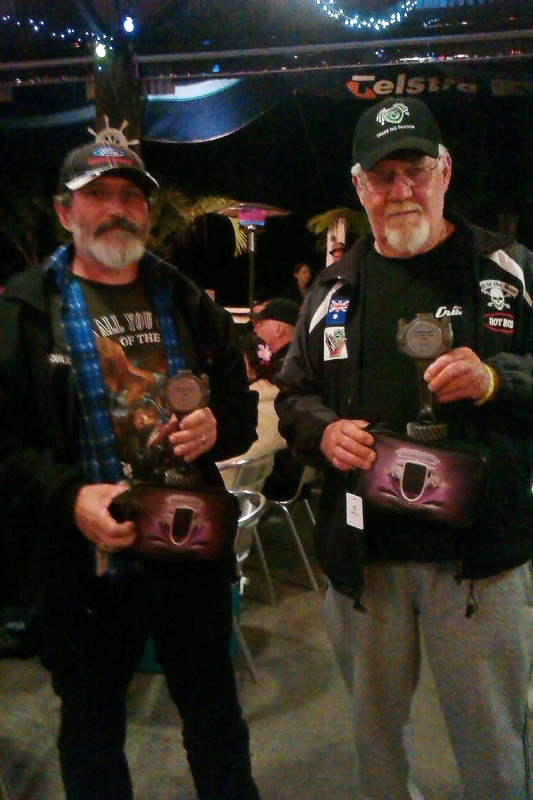 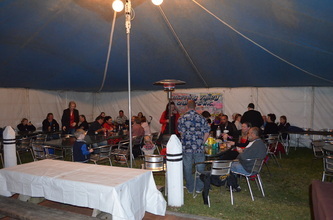 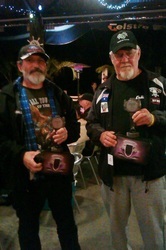 With around 100 entrants they fed us well and everyone had a great weekend. 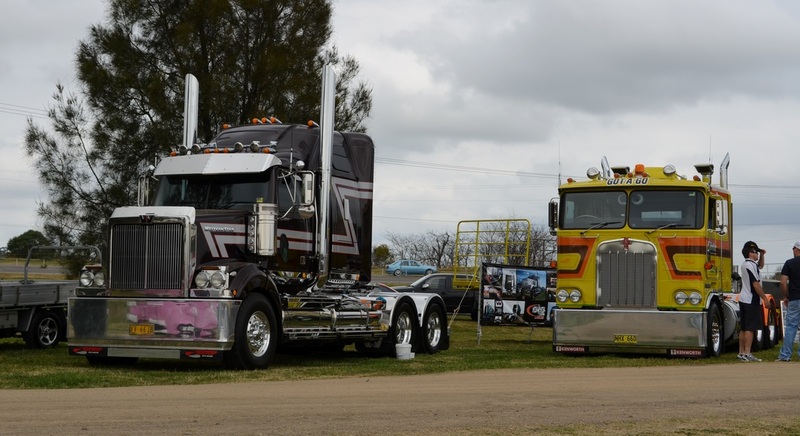 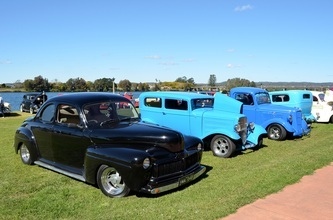 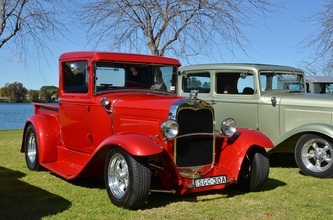 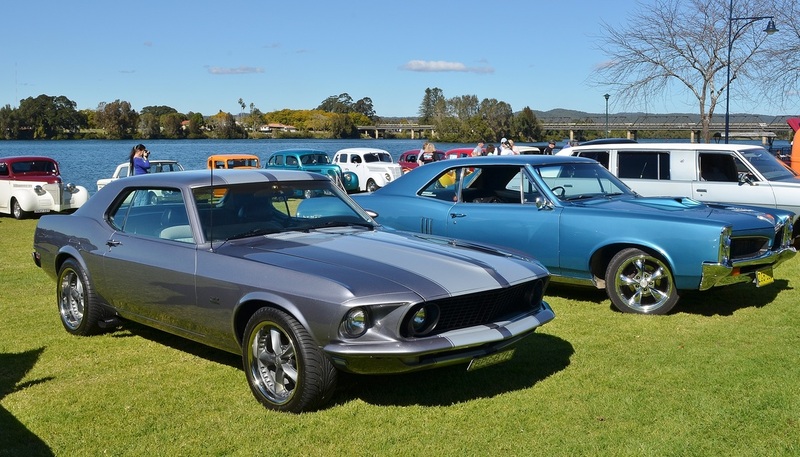 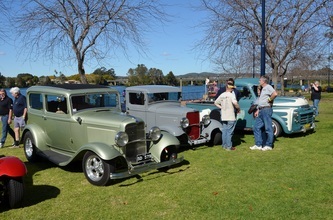 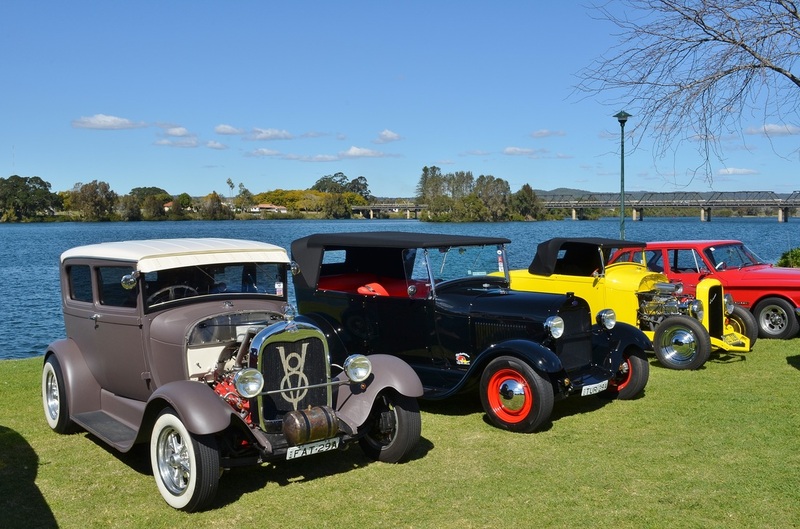 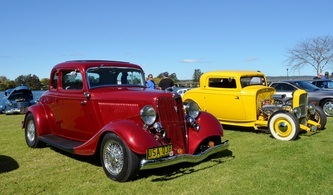 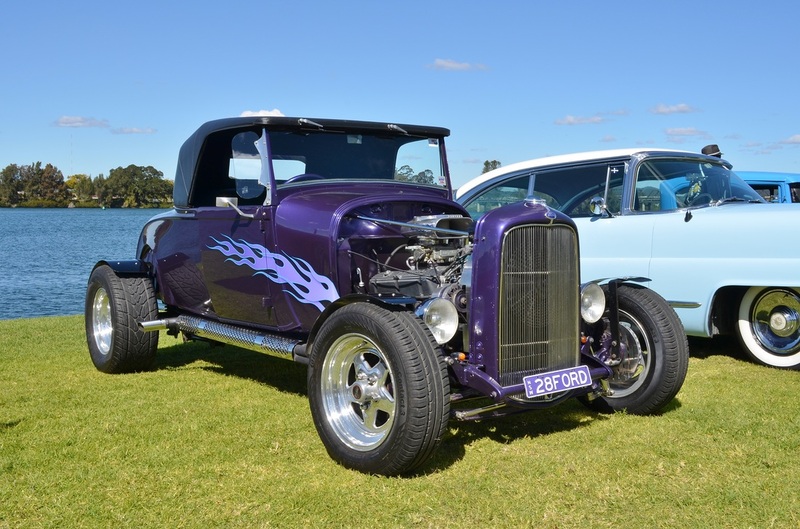 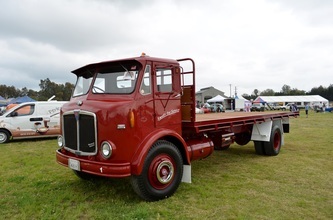 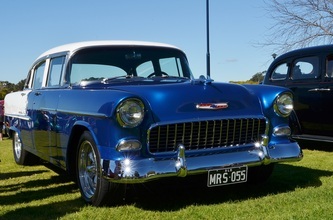 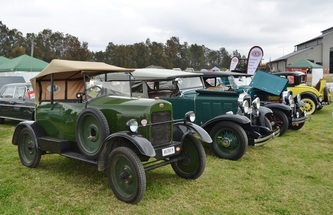 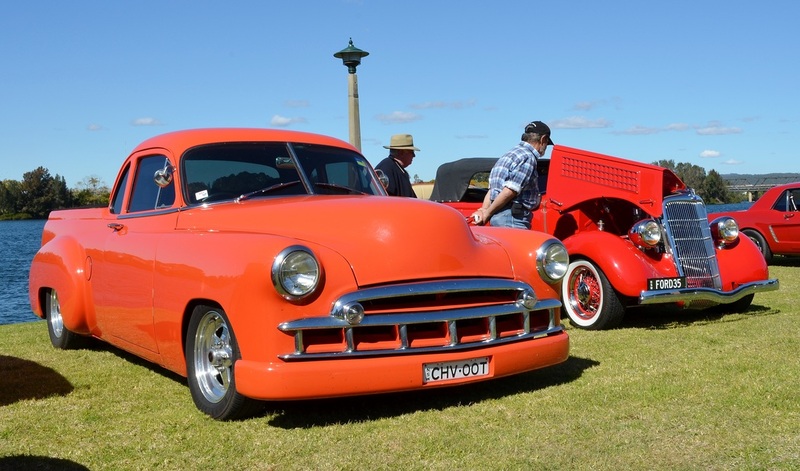 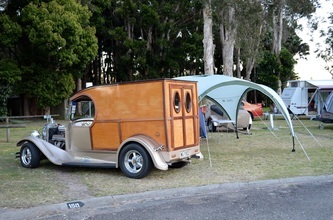 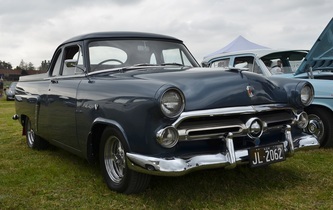 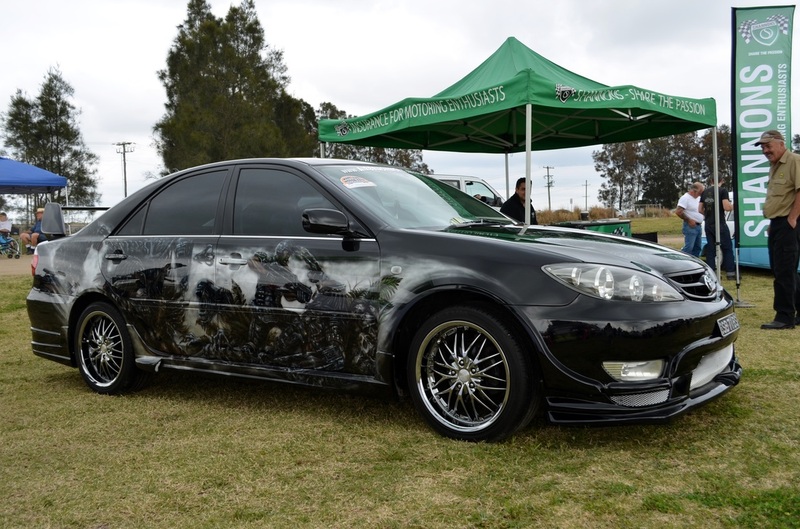 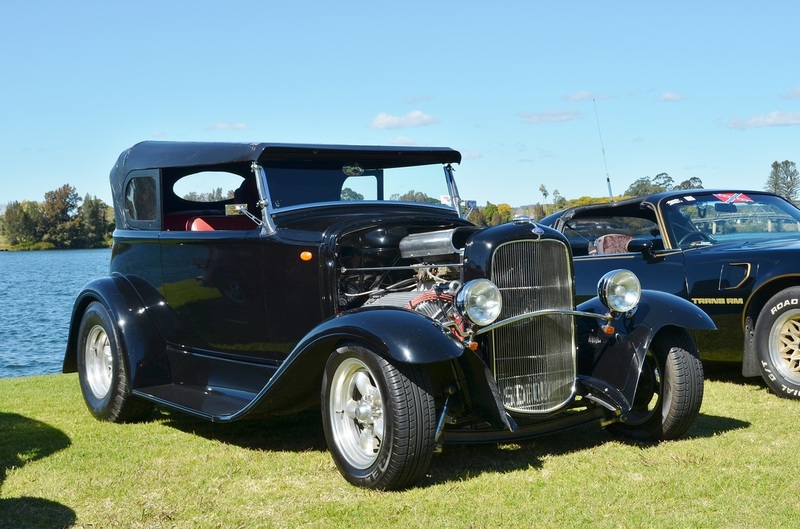 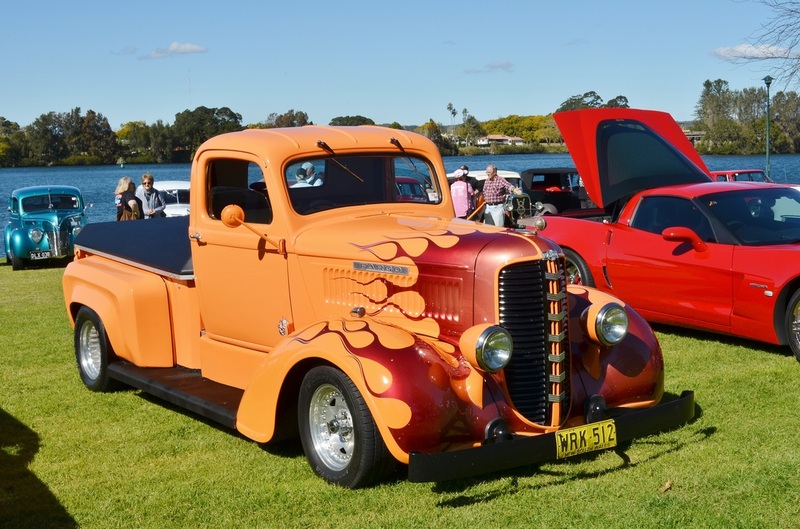 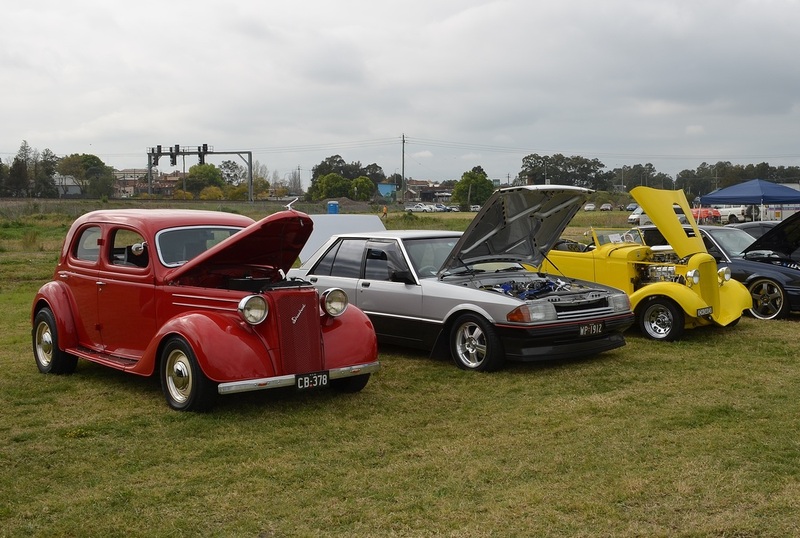 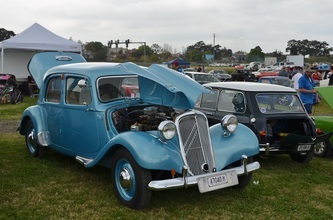 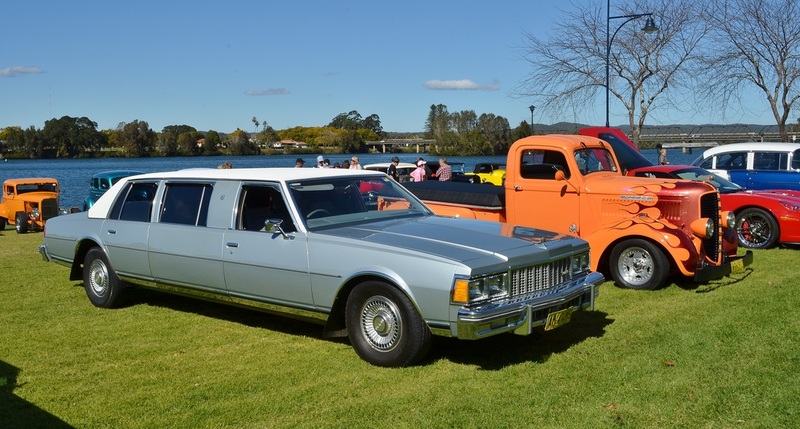 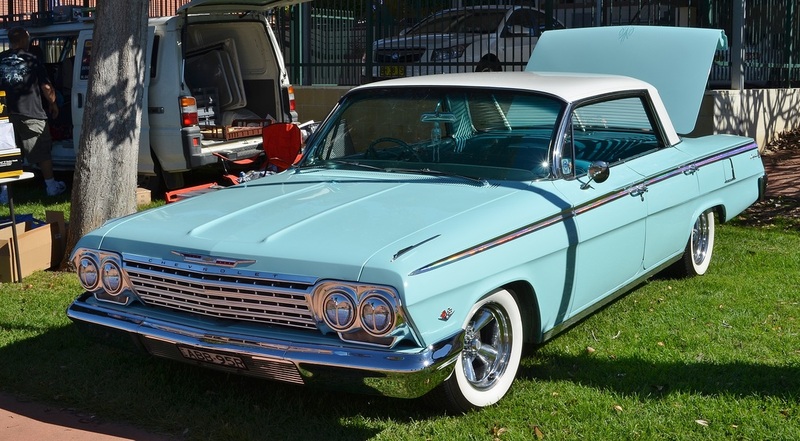 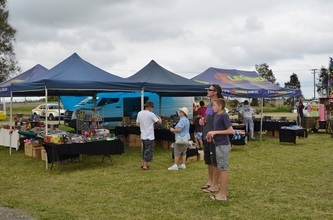 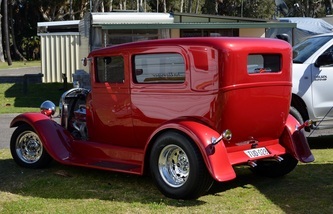 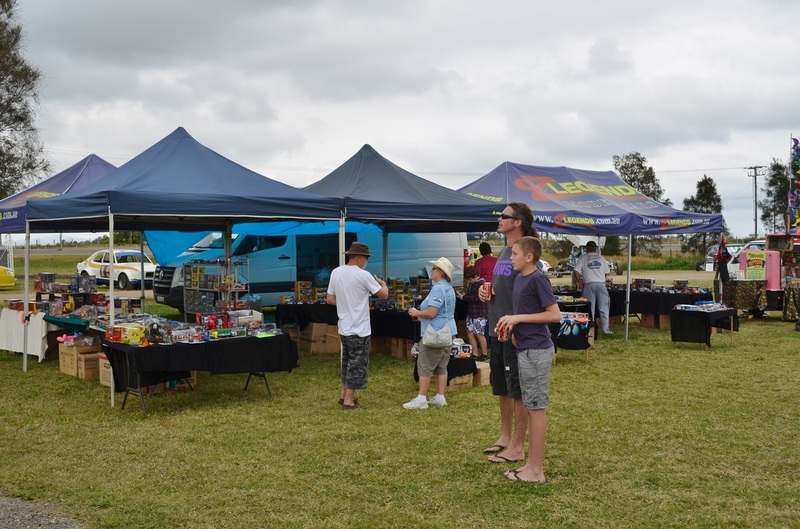 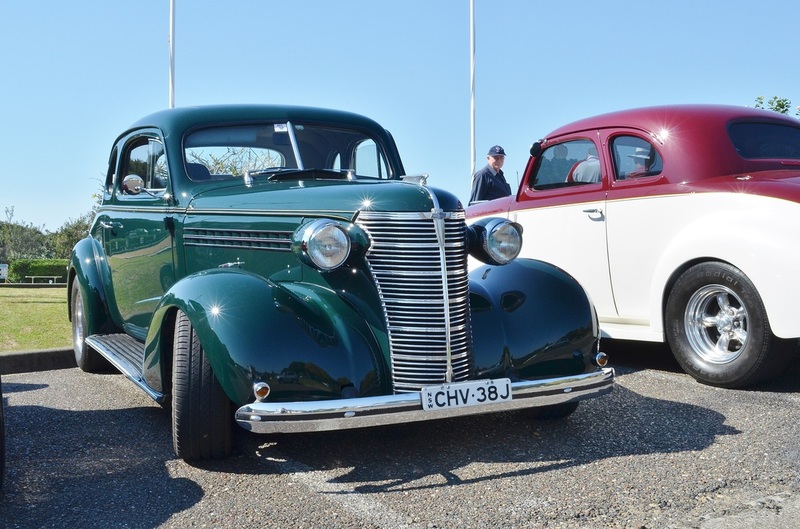 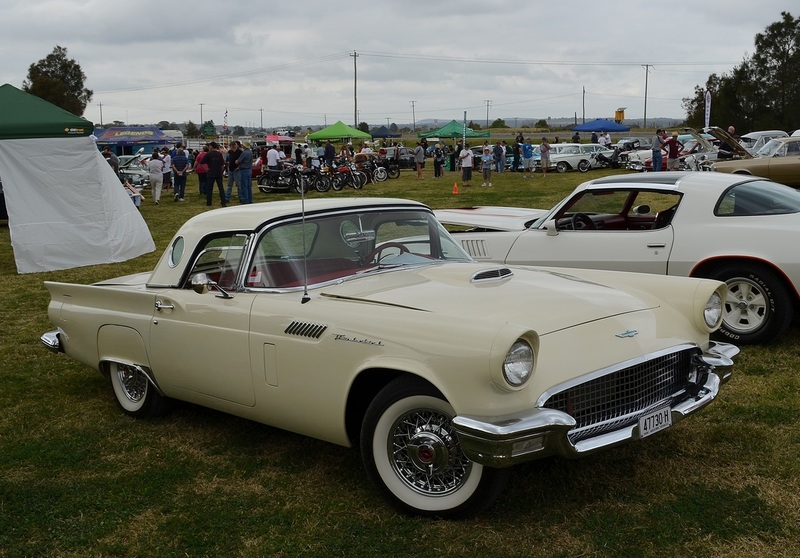 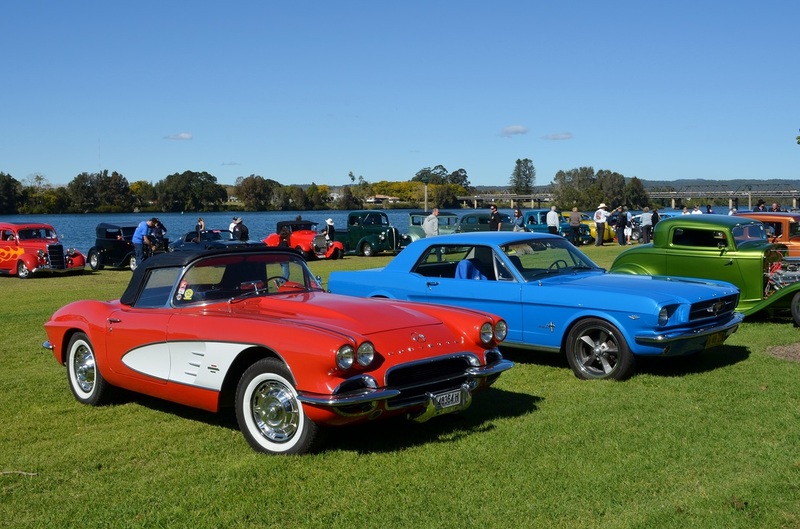 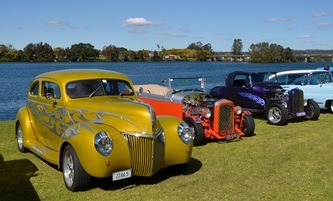 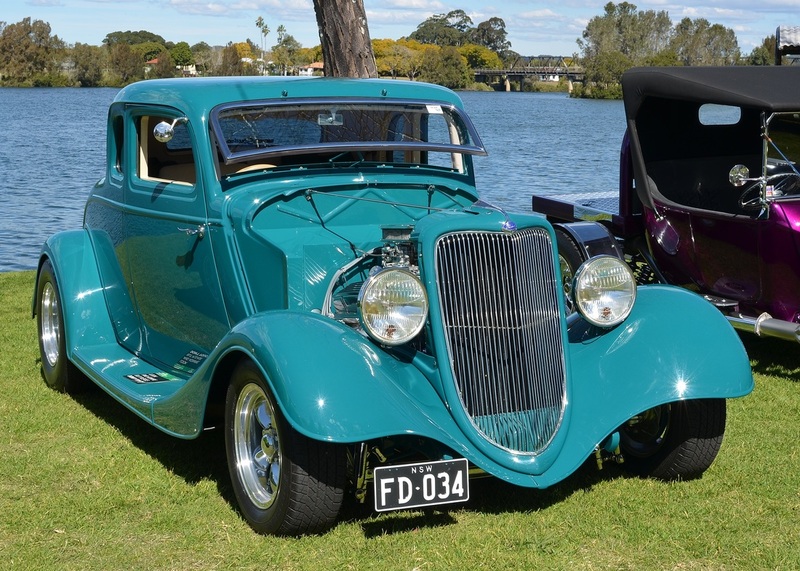 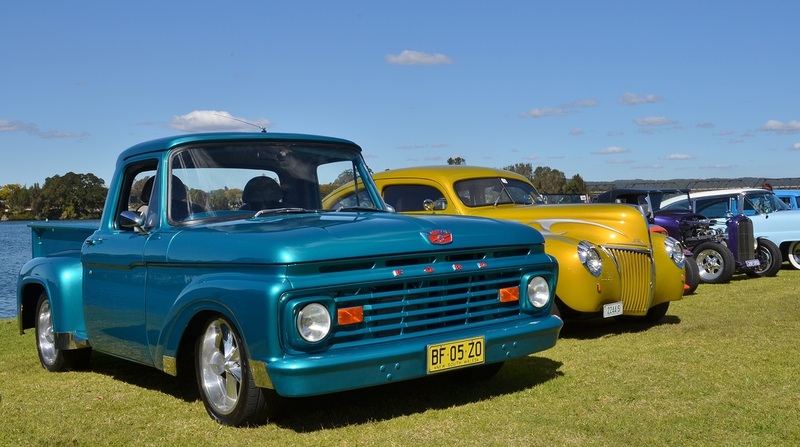 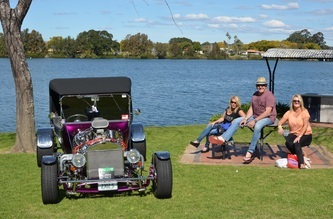 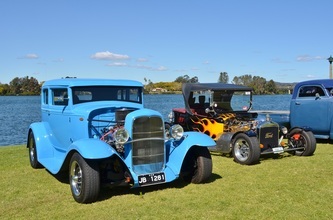 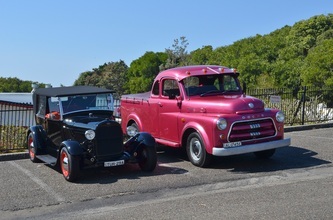 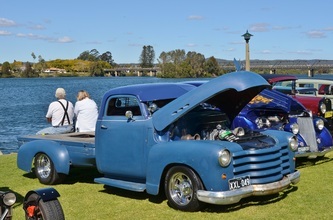 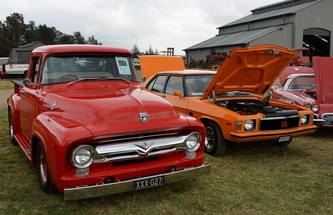 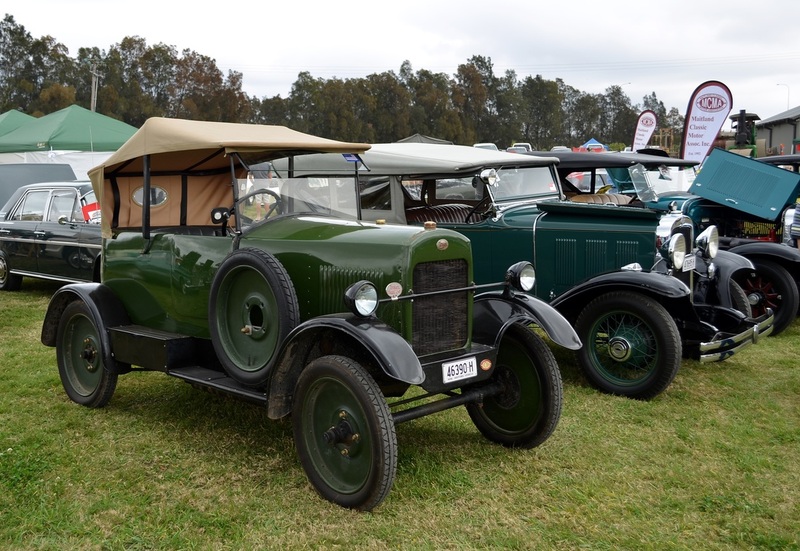 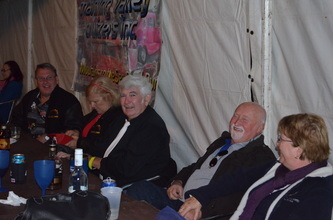 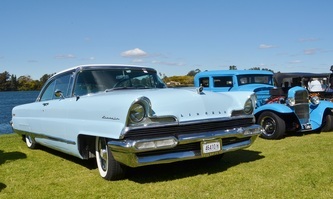 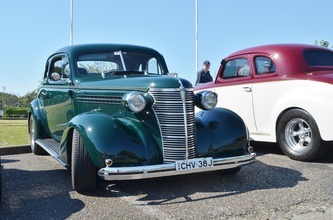 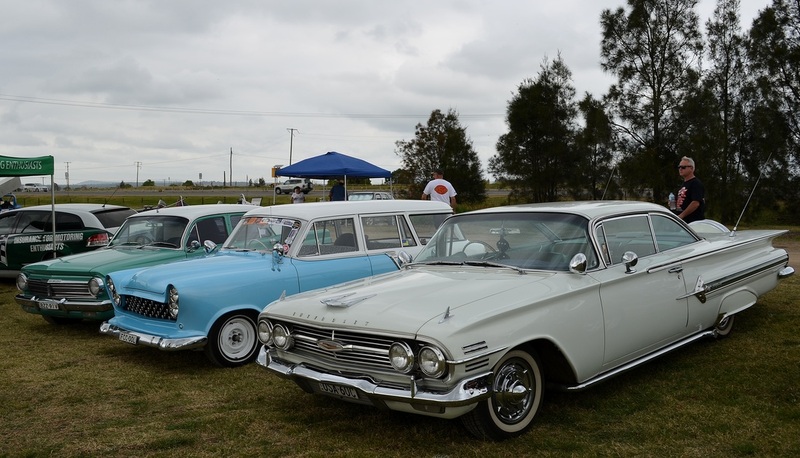 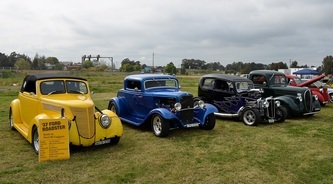 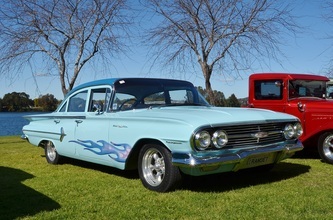 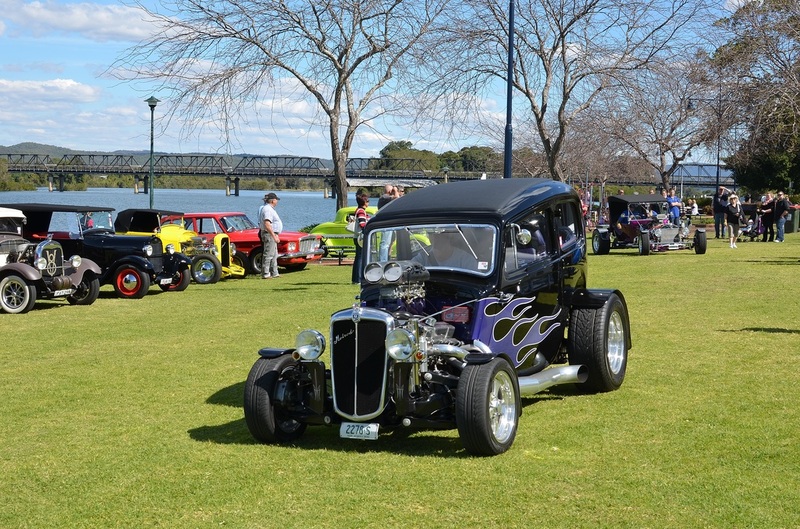 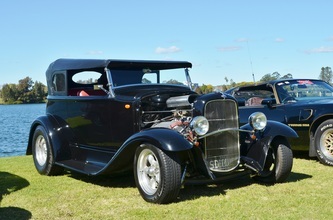 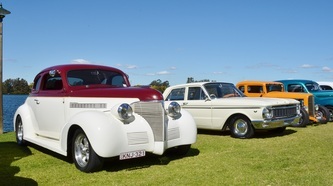 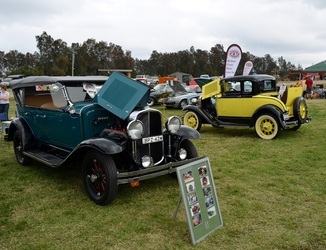 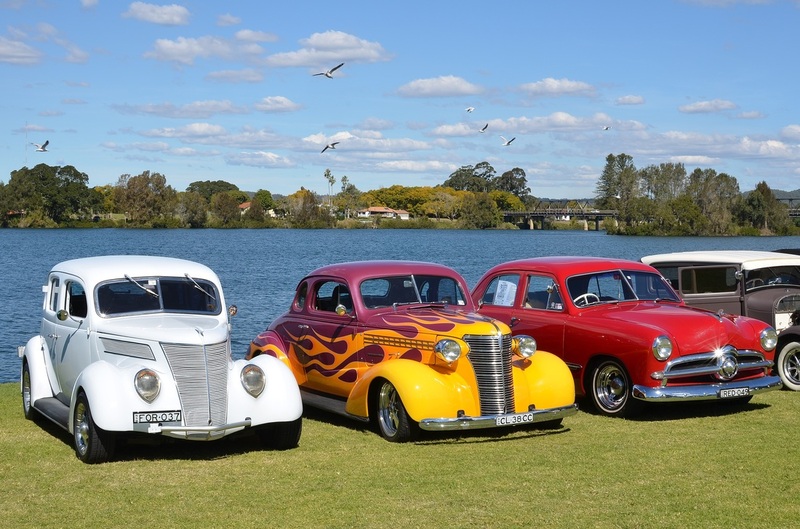 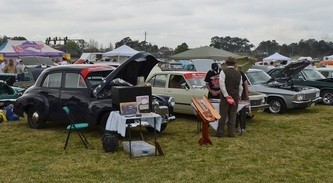 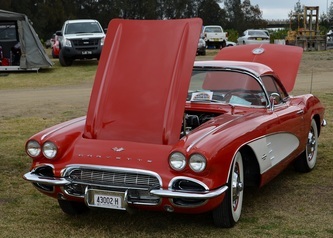 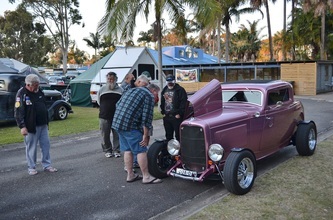 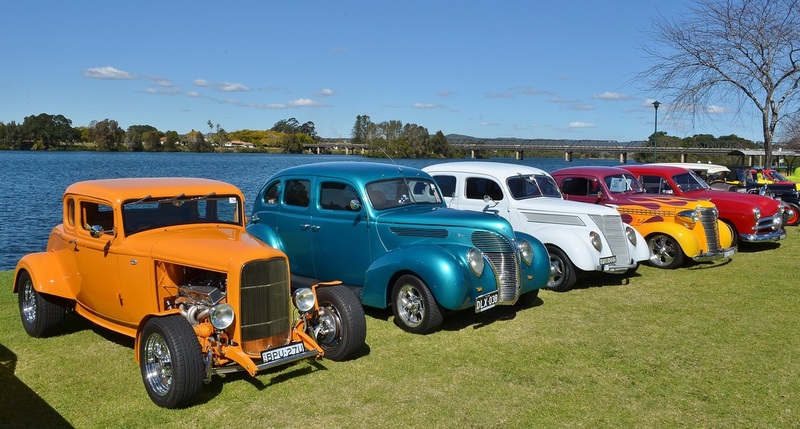 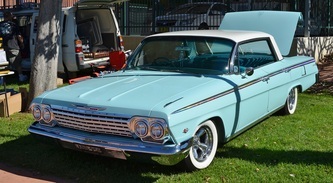 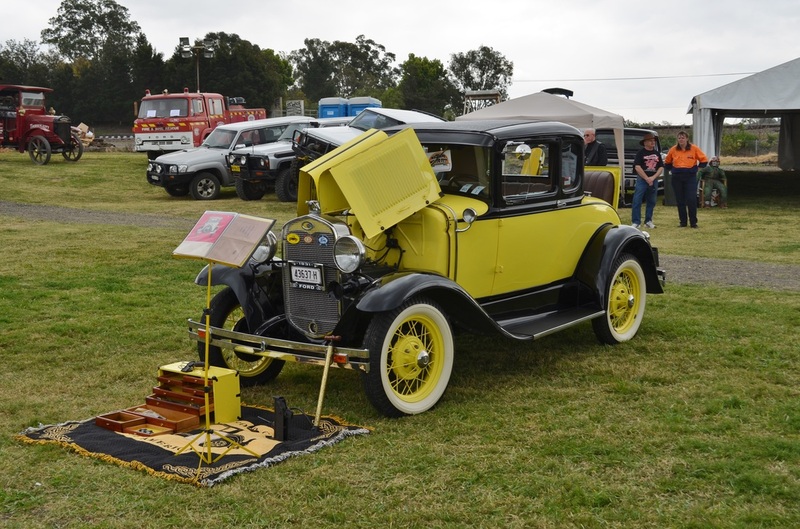 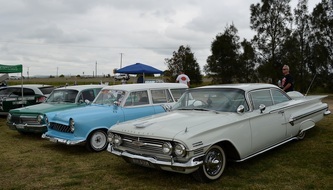 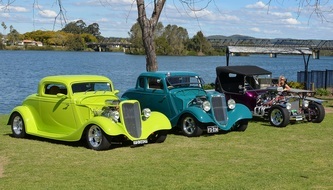 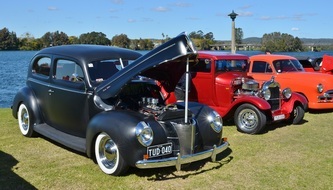 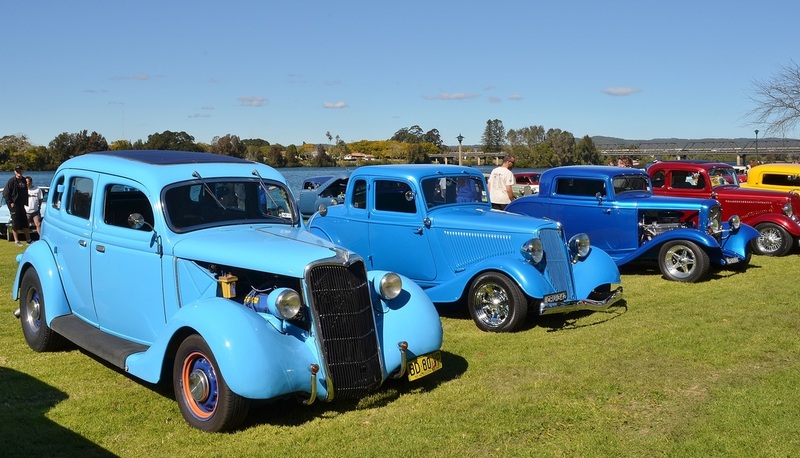 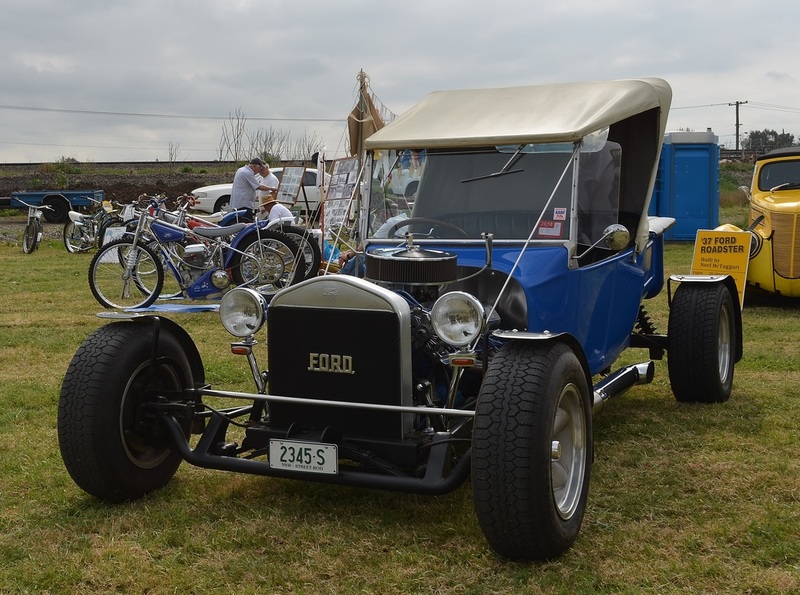 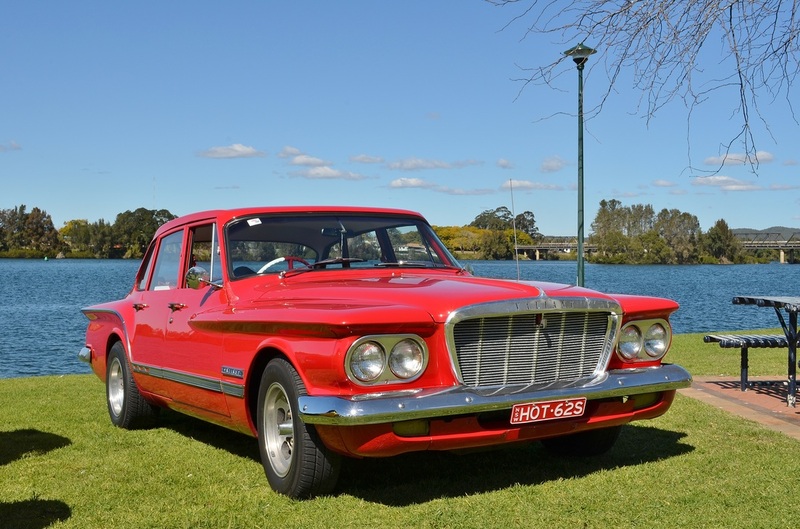 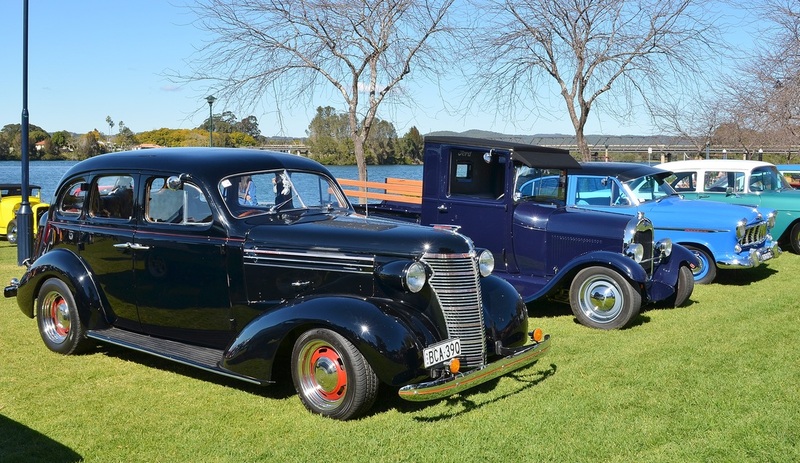 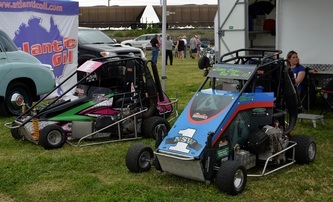 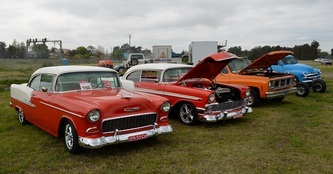 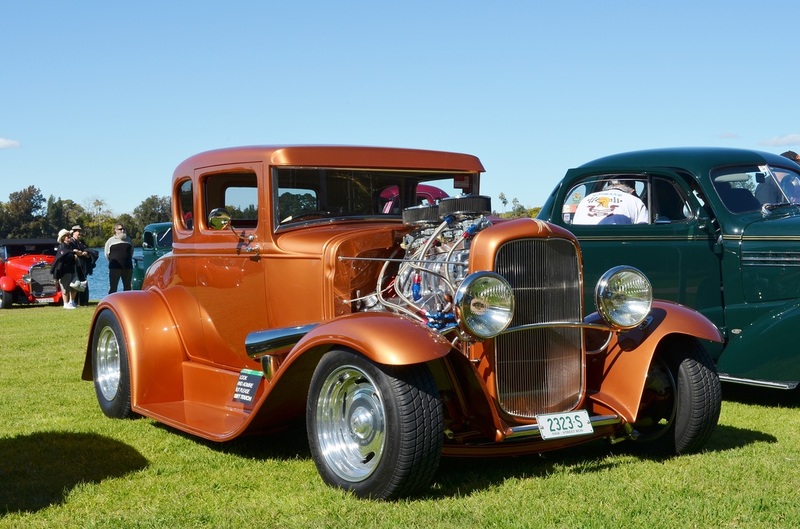 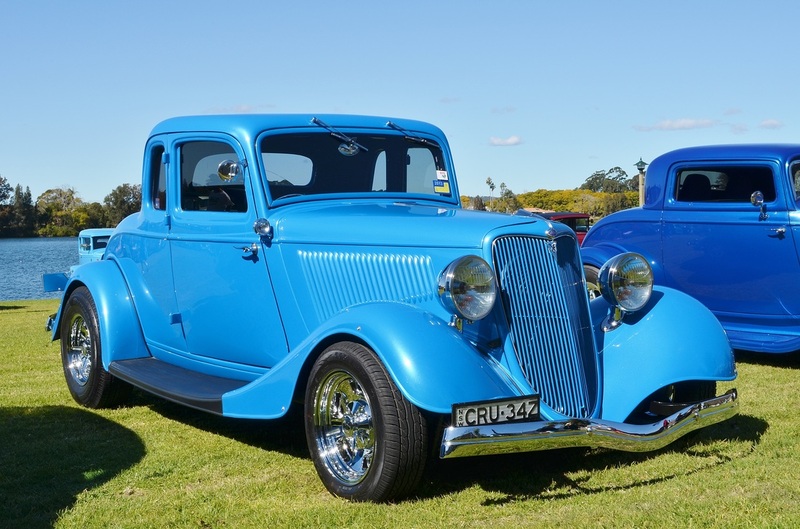 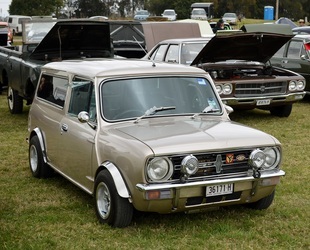 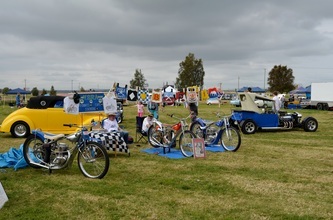 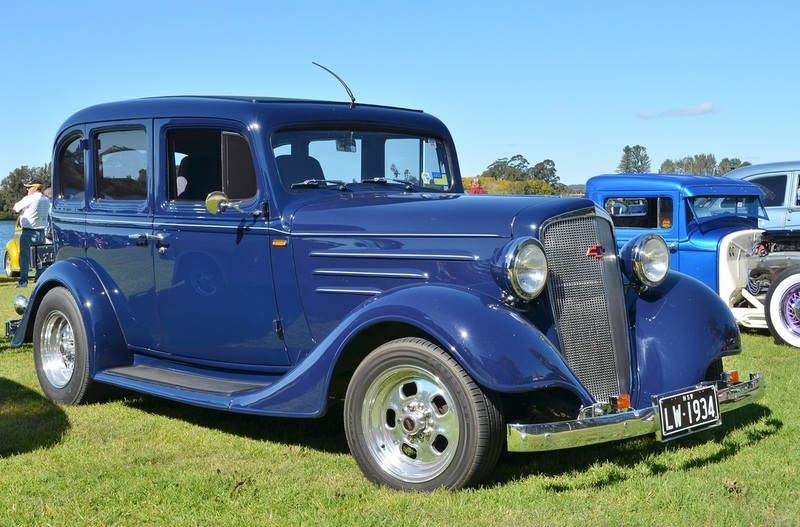 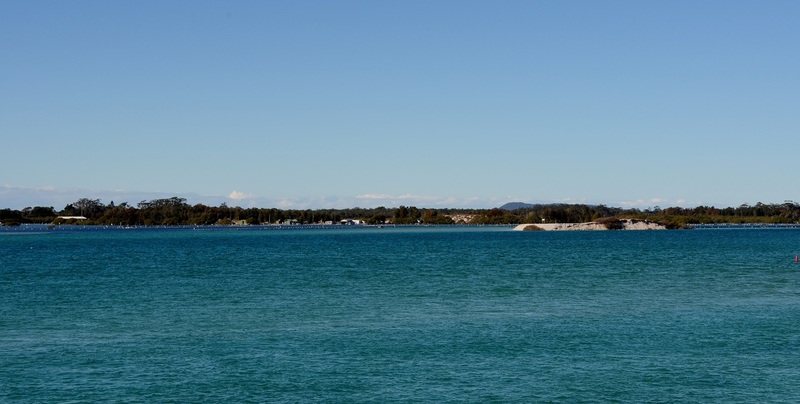 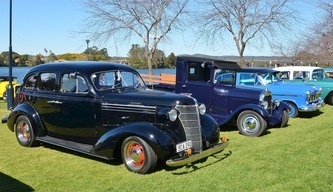 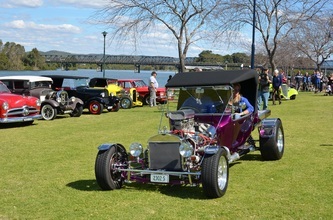 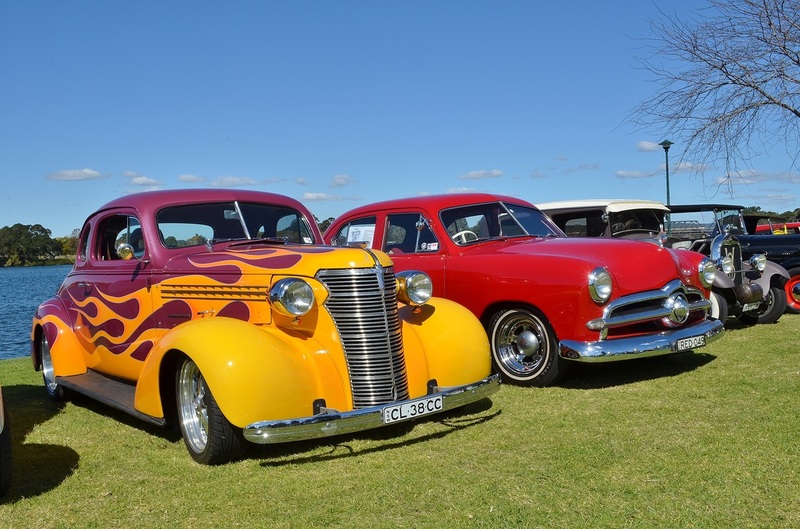 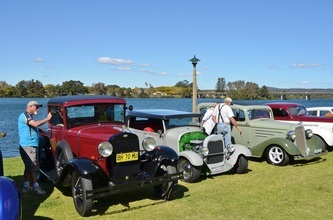 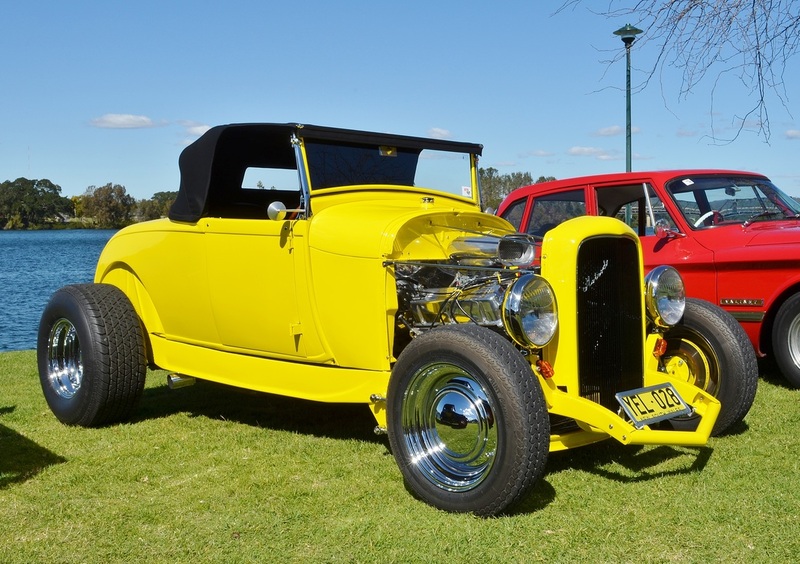 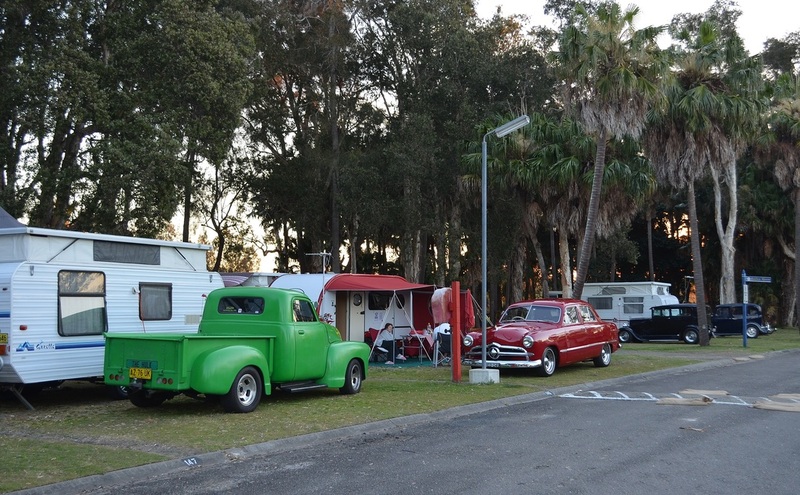 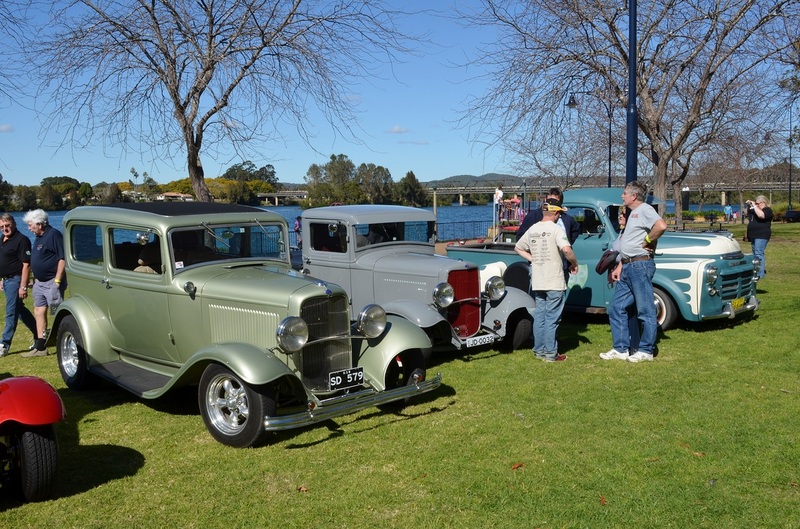 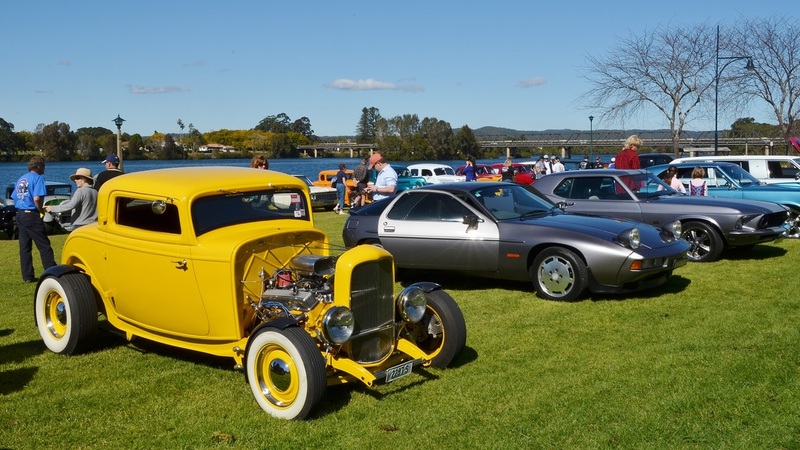 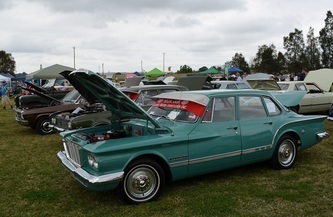 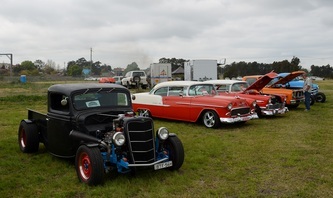 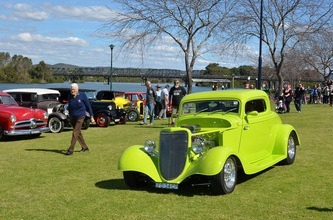 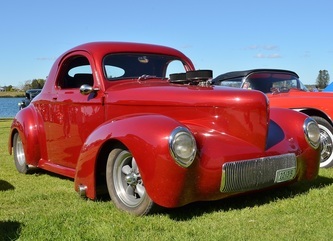 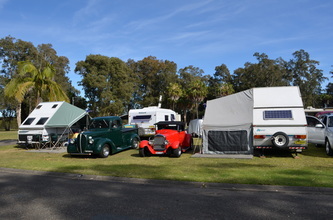 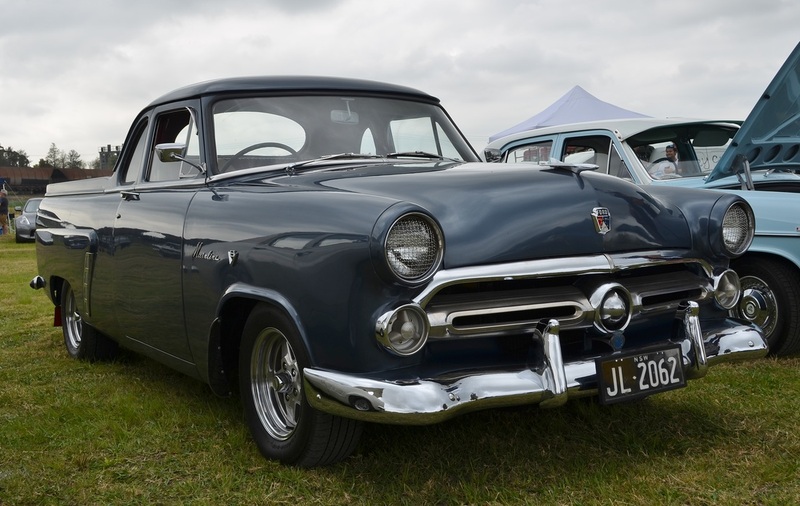 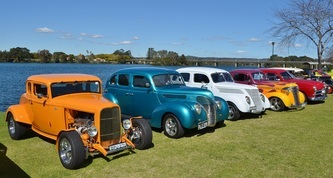 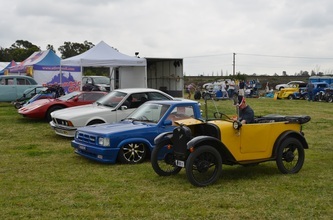 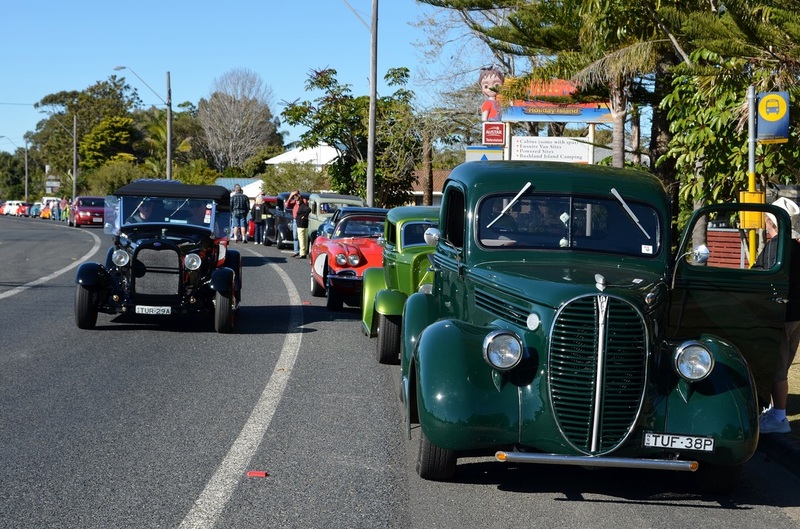 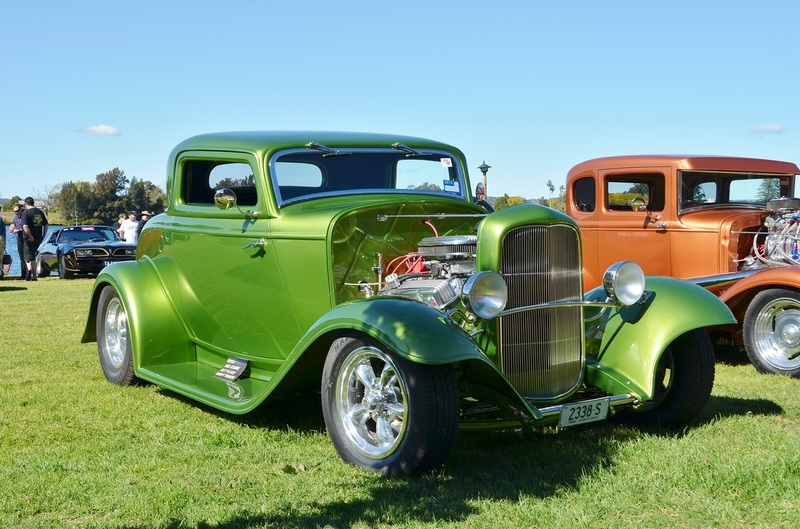 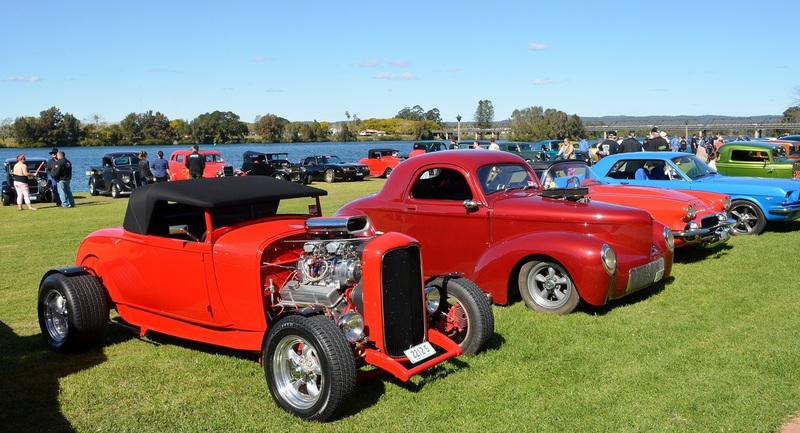 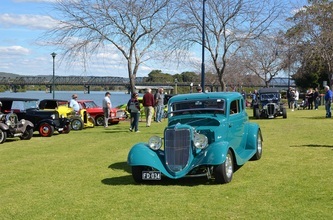 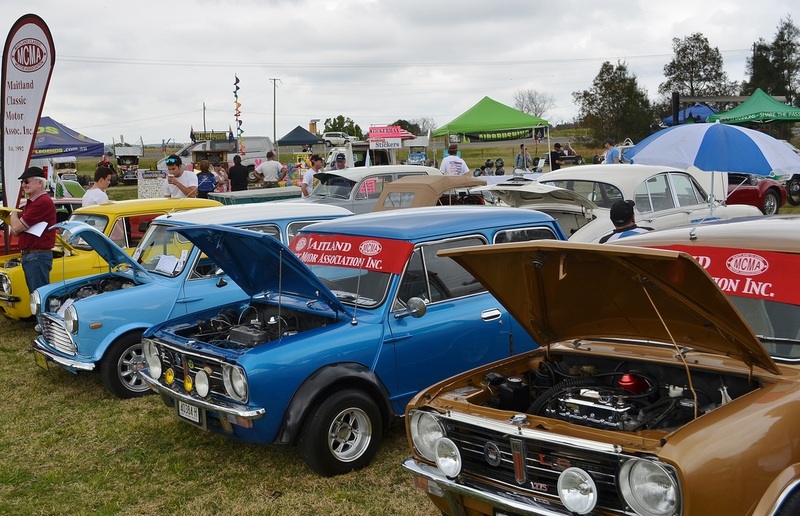 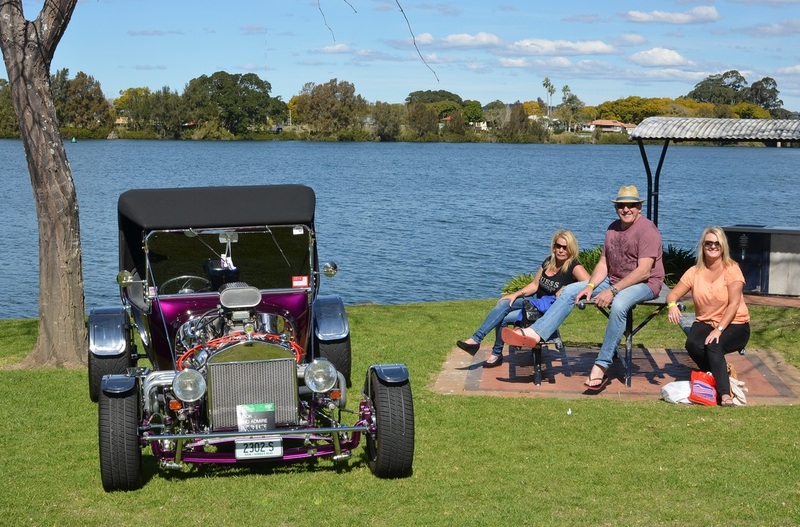 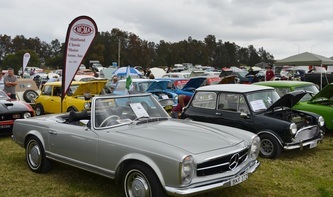 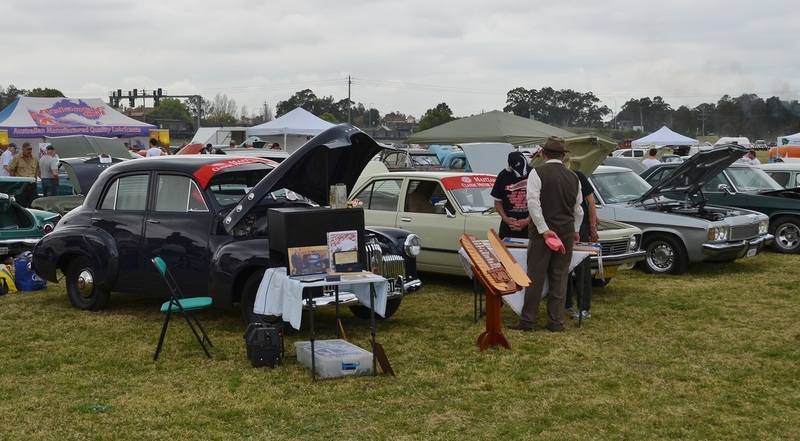 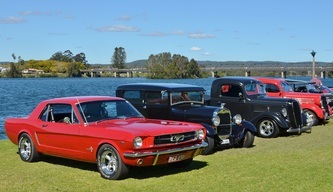 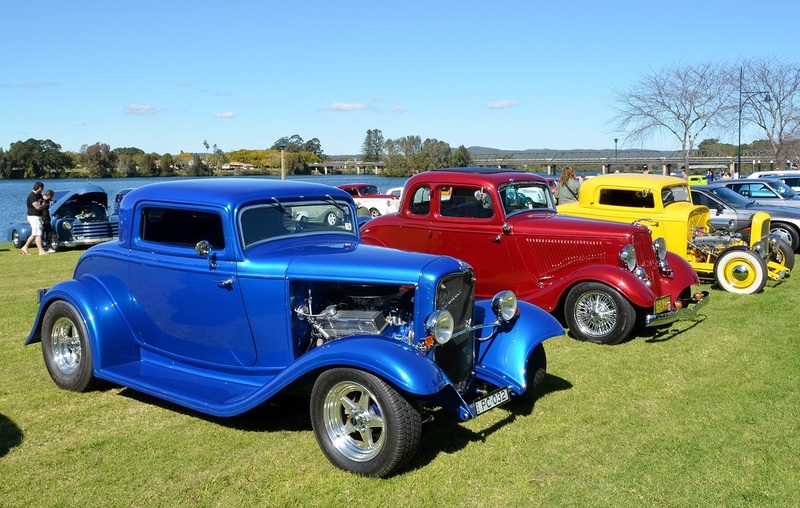 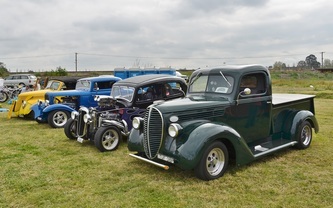 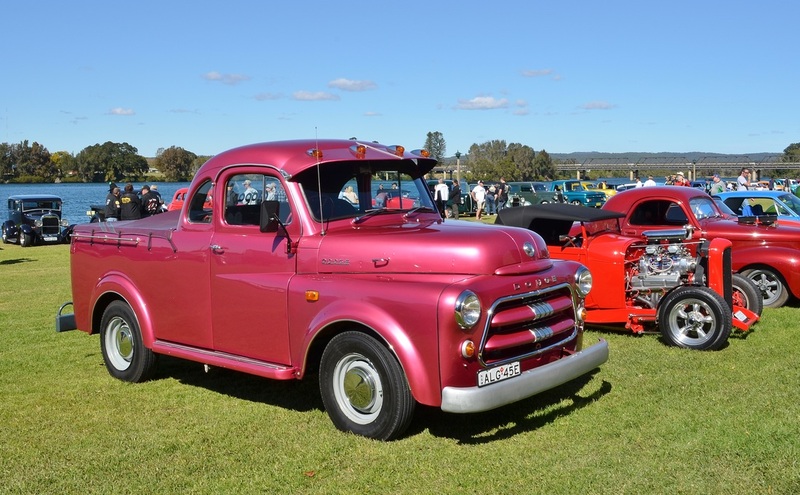 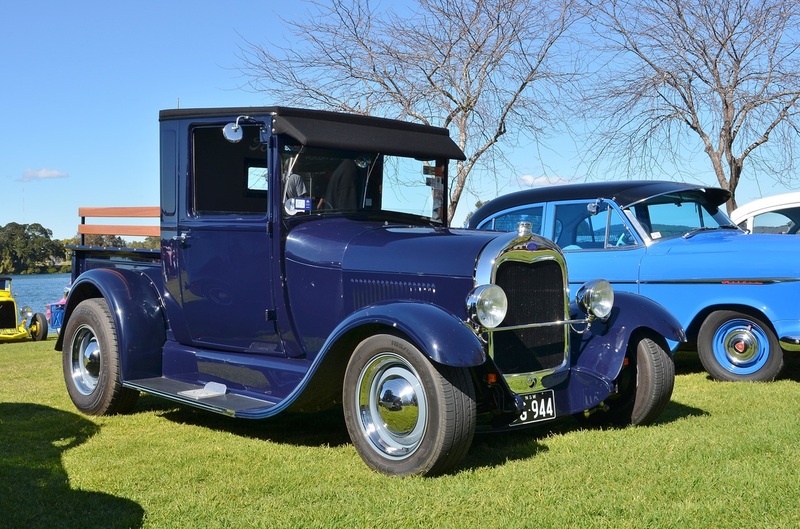 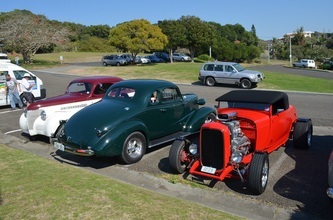 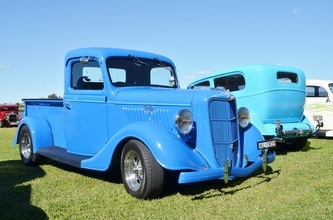 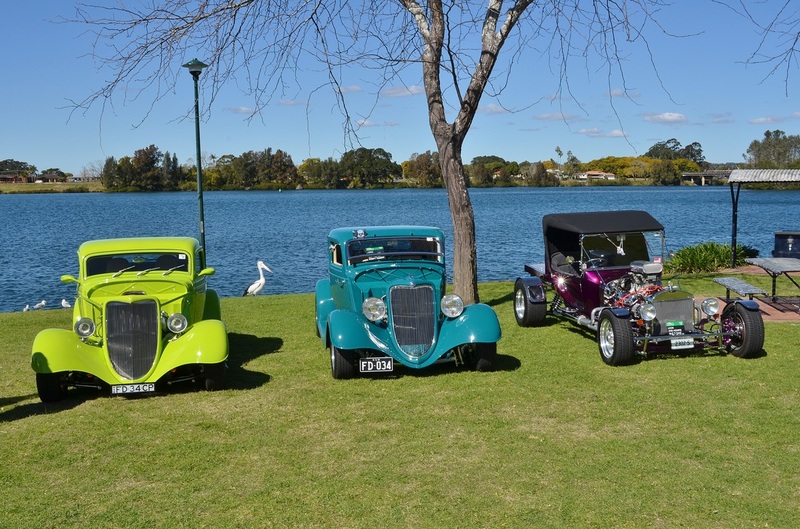 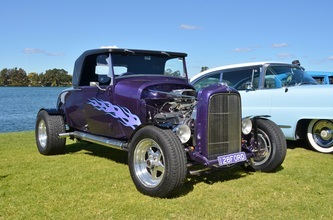 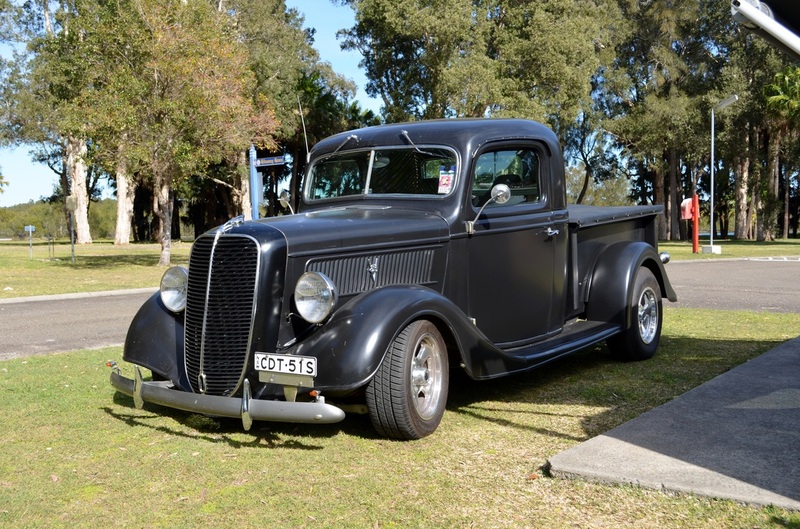 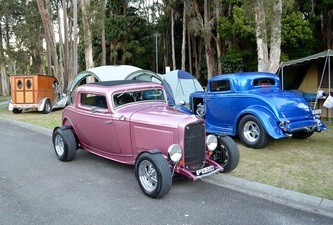 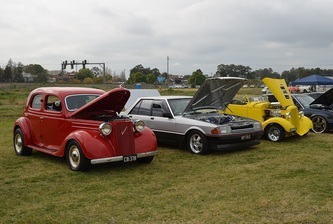 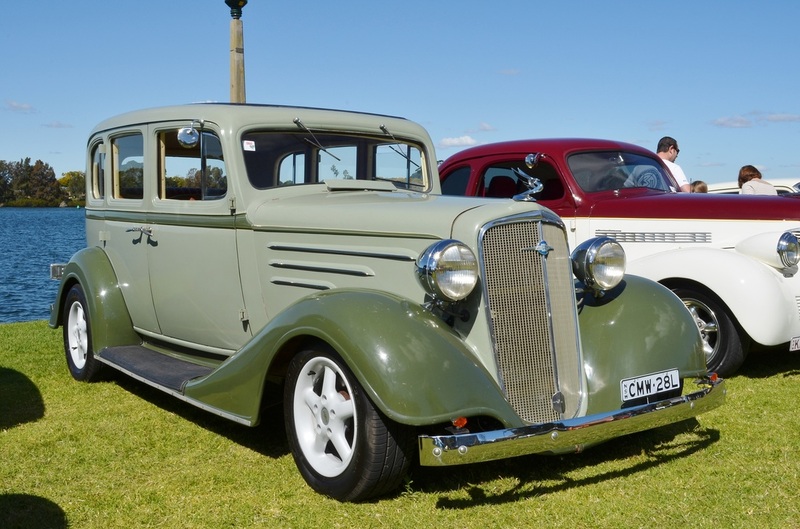 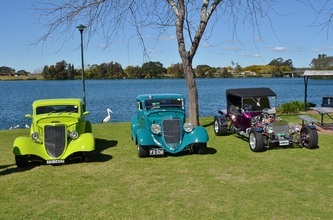 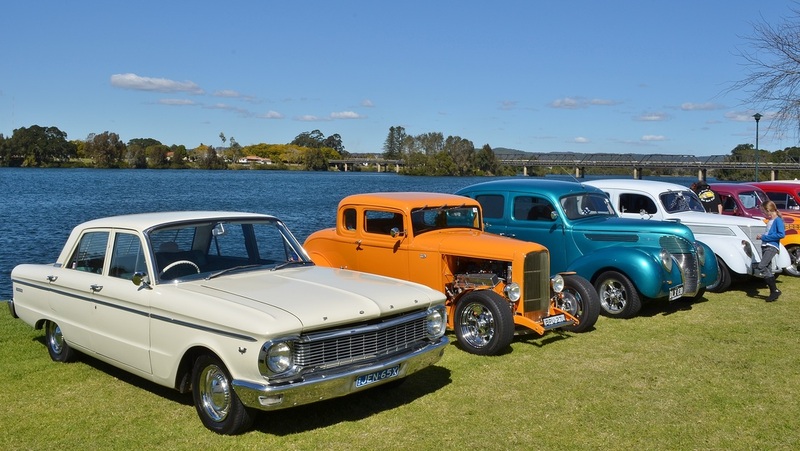 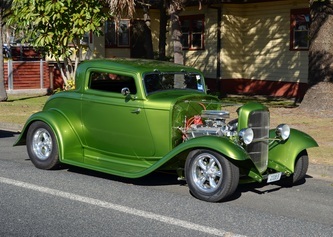 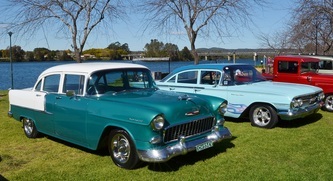 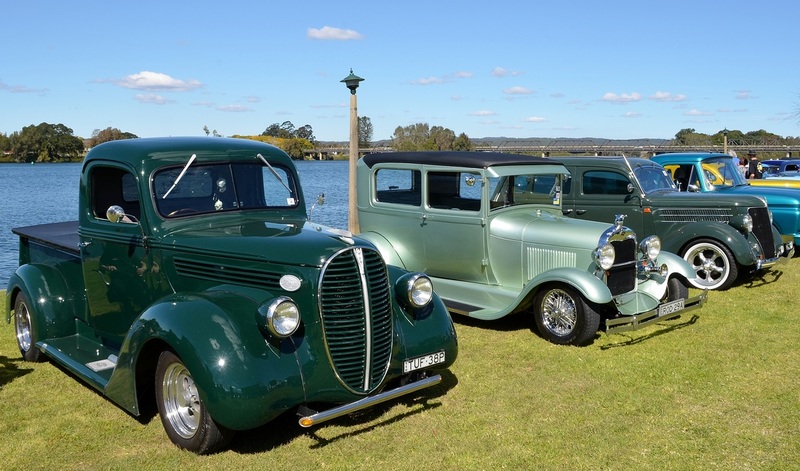 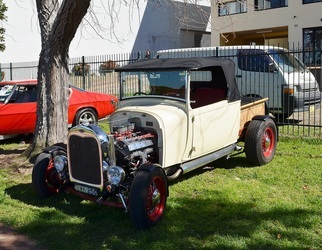 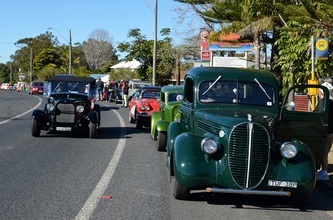 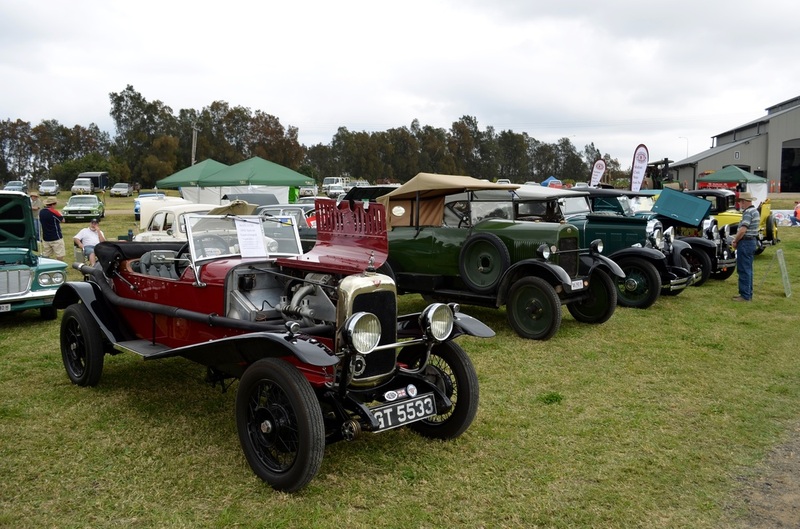 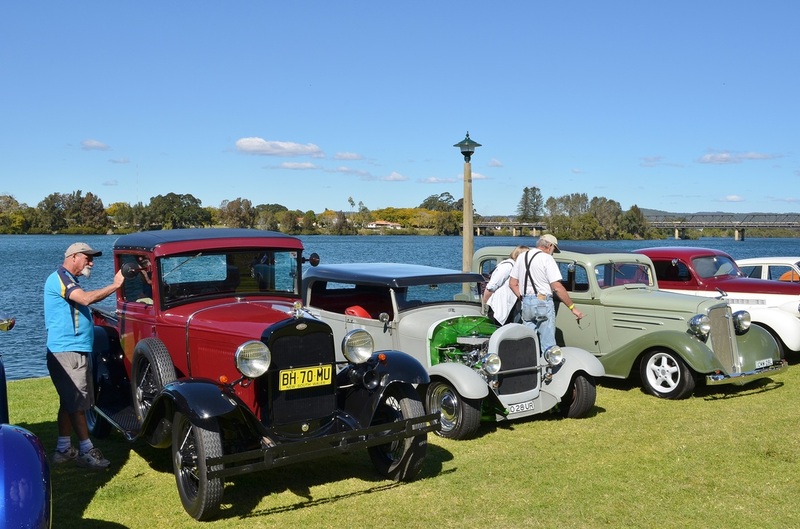 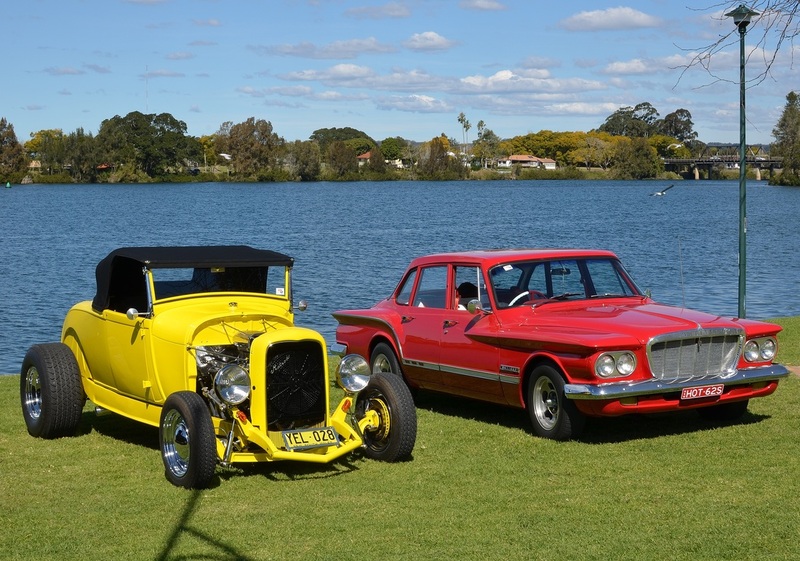 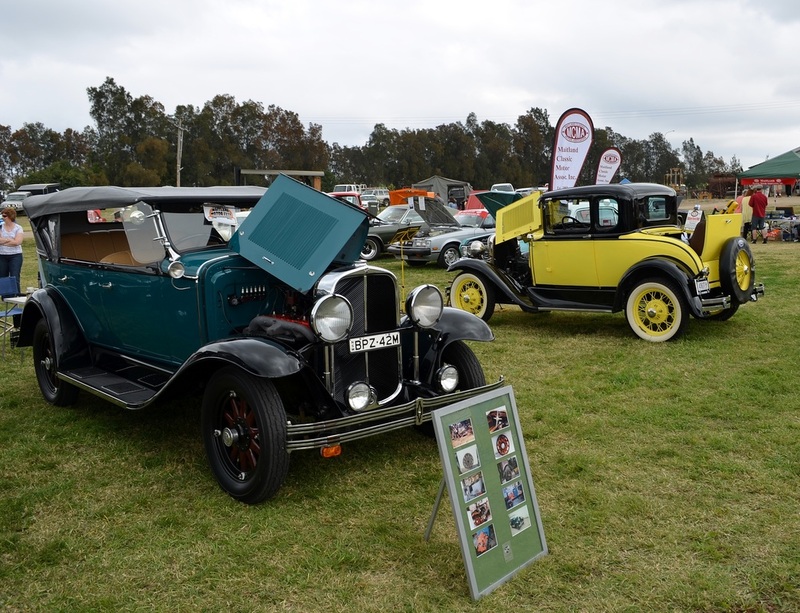 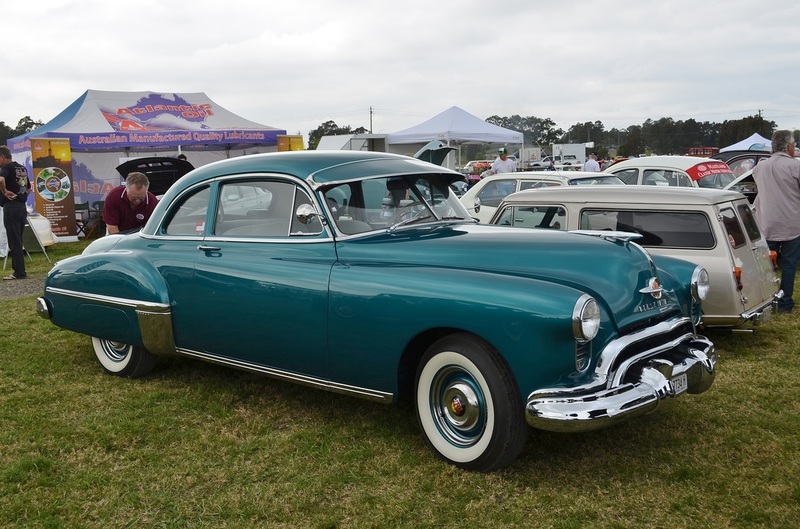 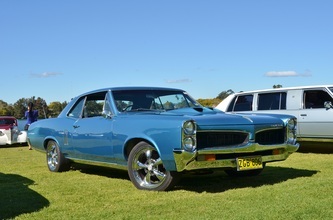 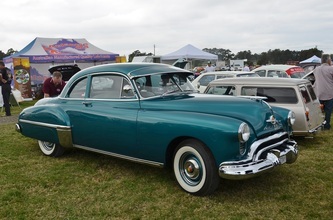 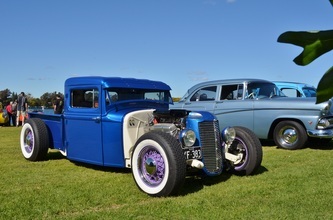 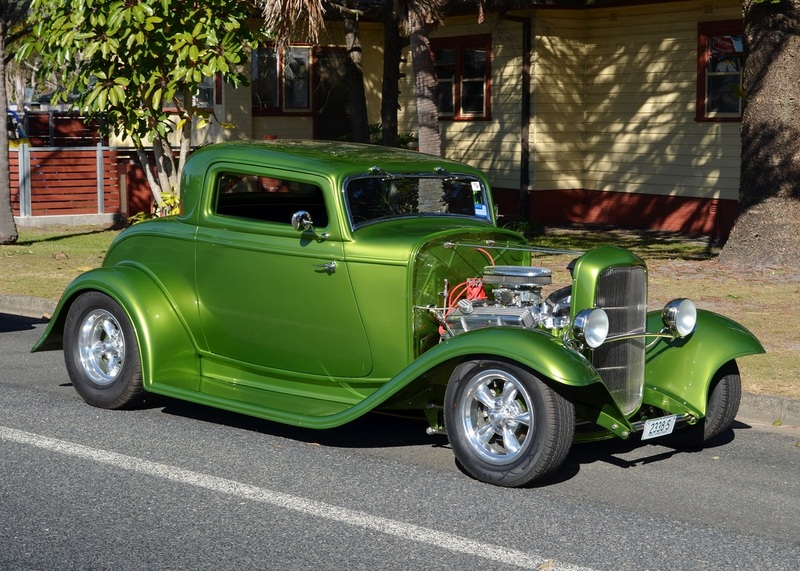 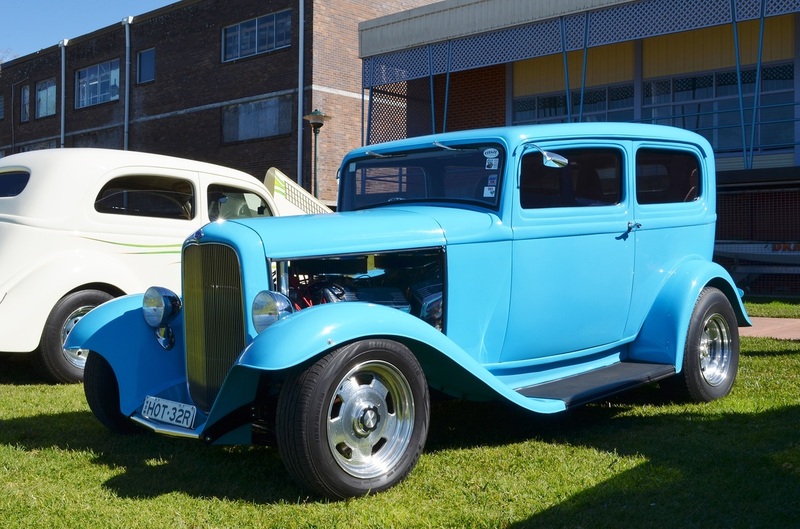 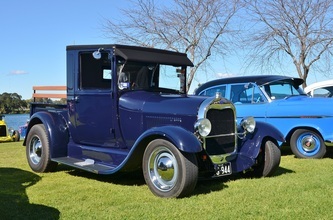 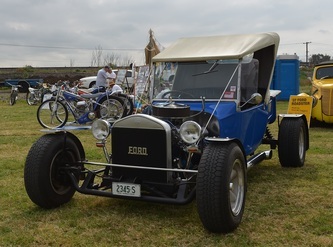 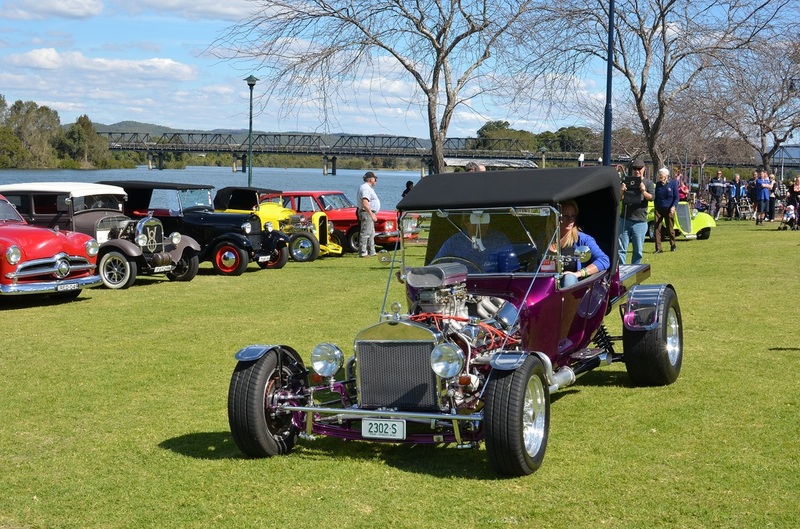 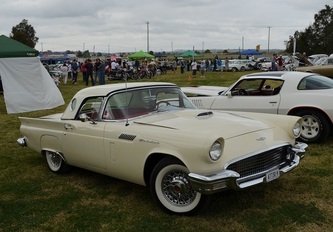 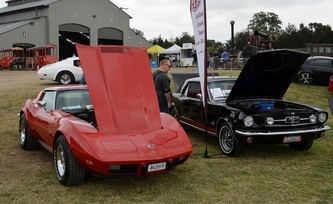 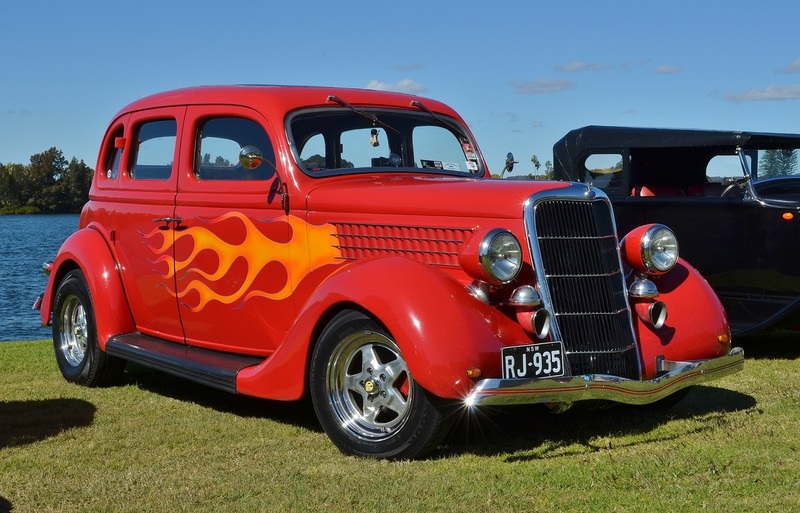 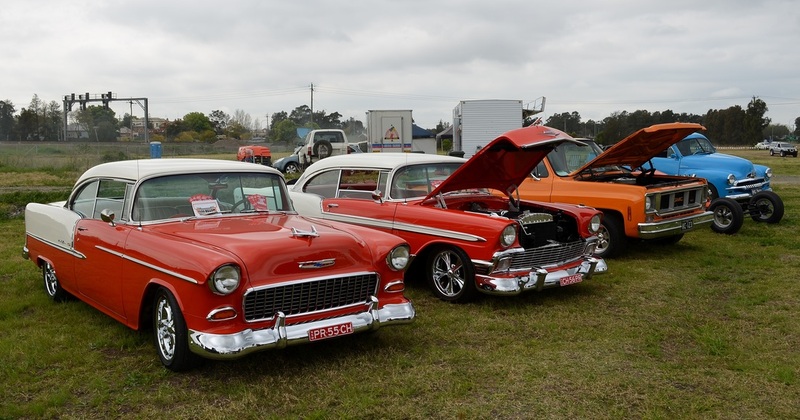 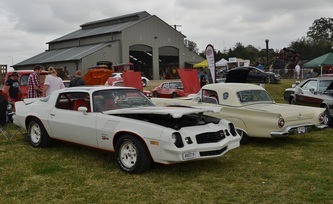 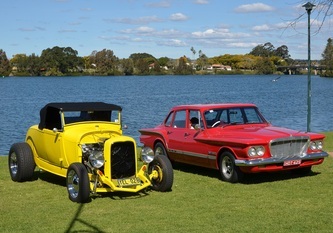 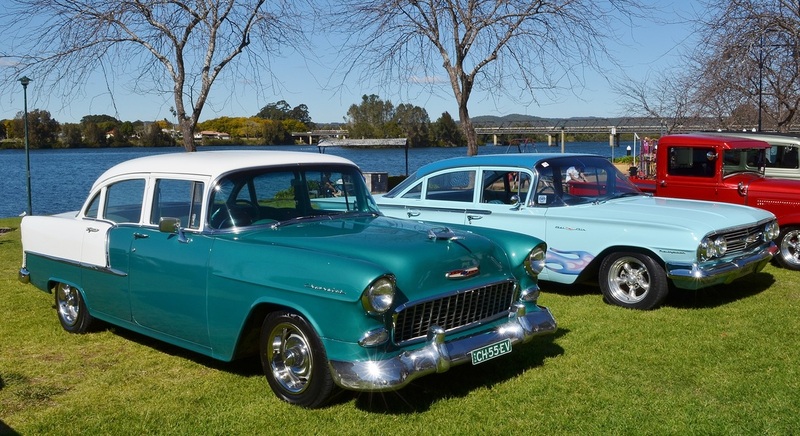 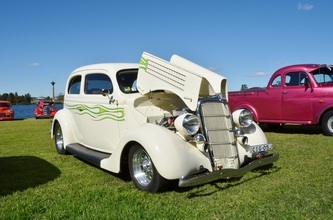 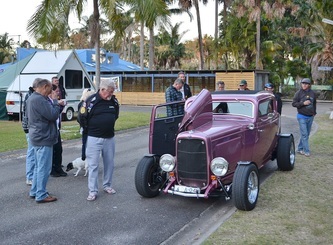 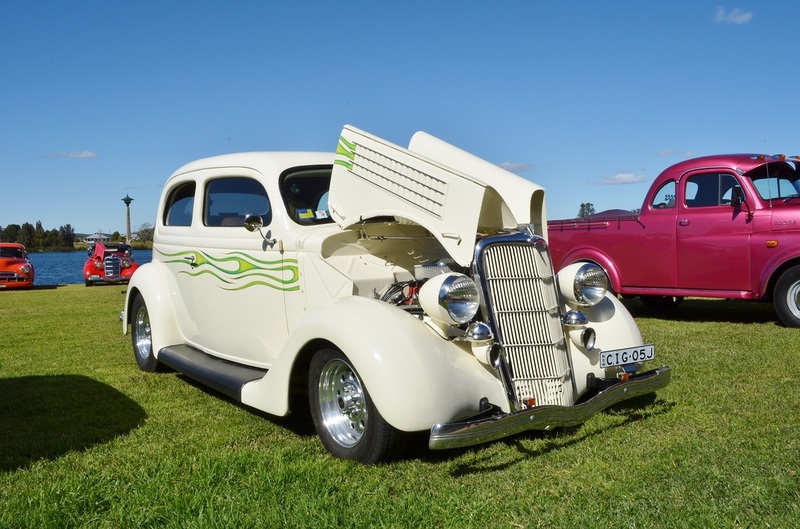 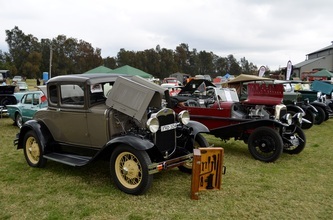 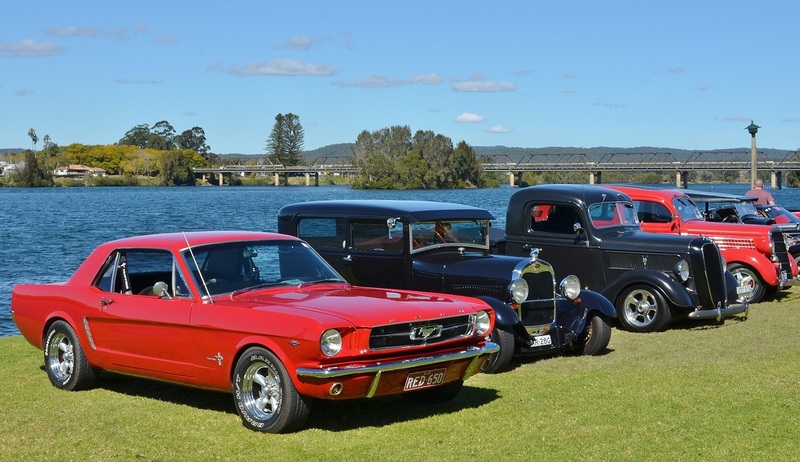 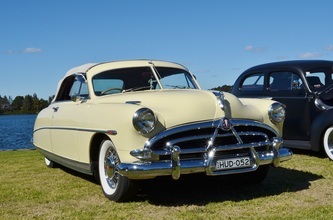 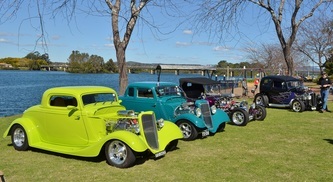 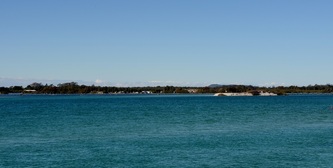 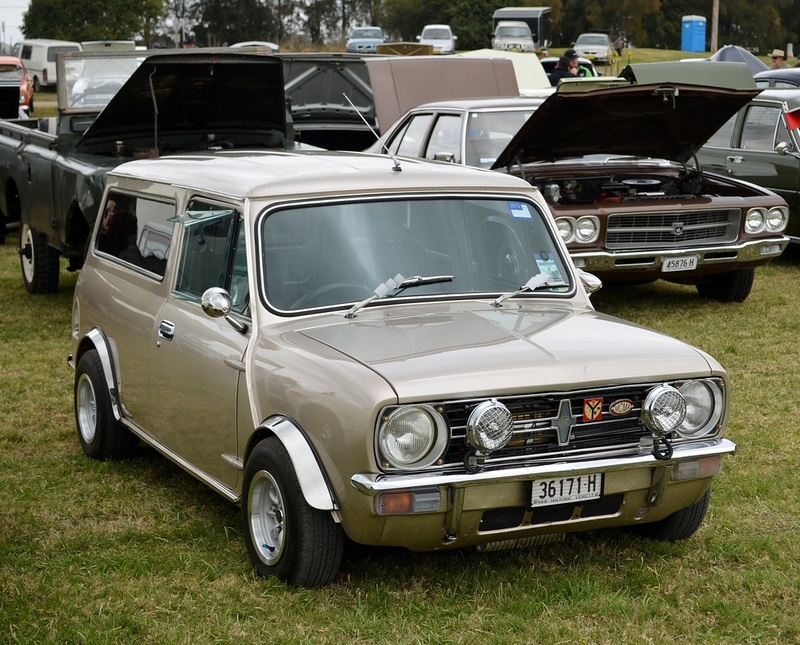 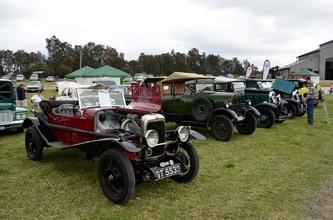 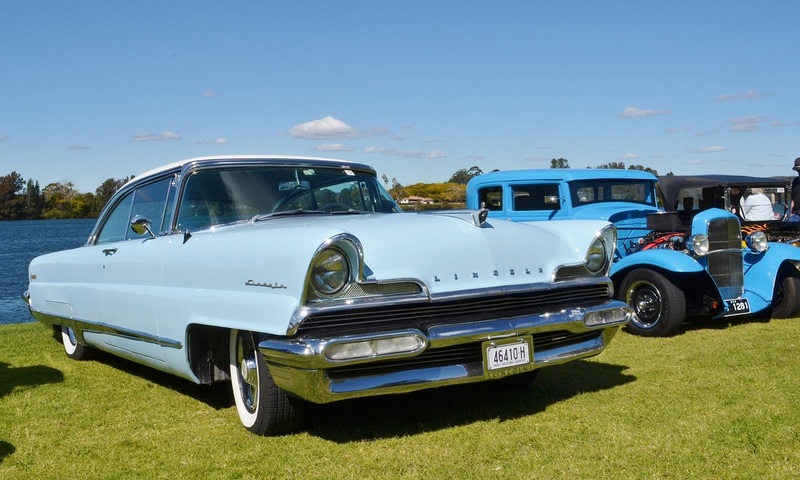 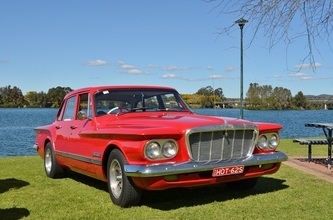 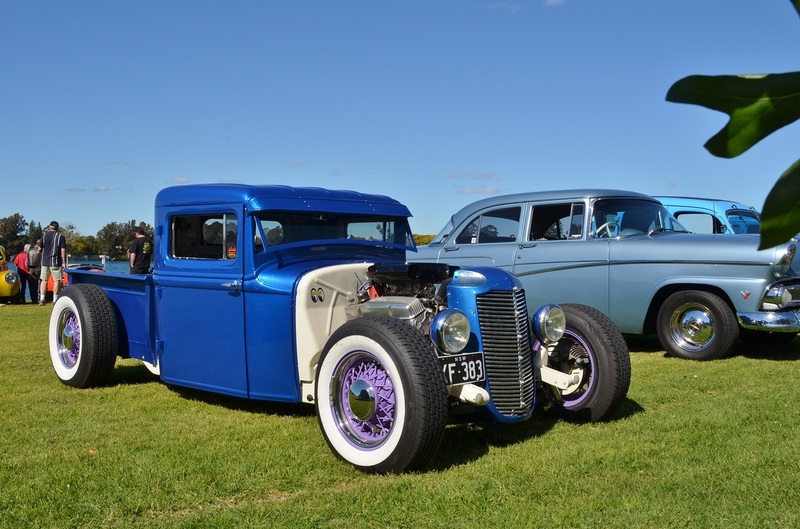 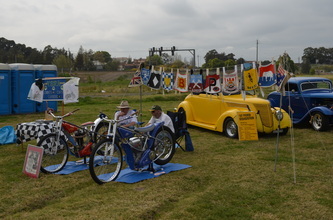 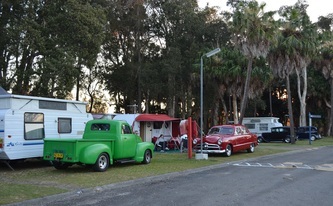 The format was similar to previous years with the show and shine being held on the river at Taree in perfect weather conditions and picturesque location. 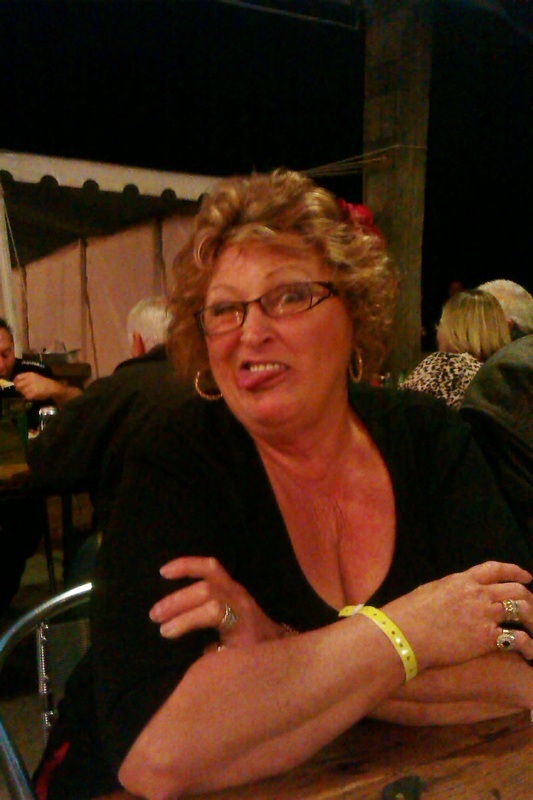 The Saturday night dinner was very good and we had a great time. 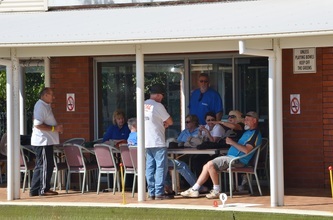 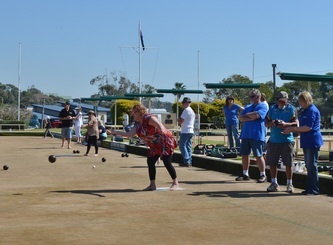 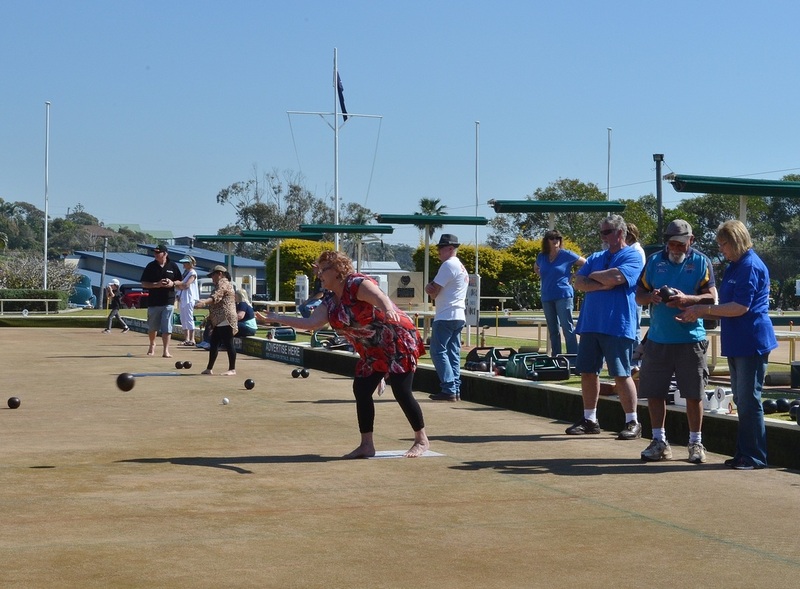 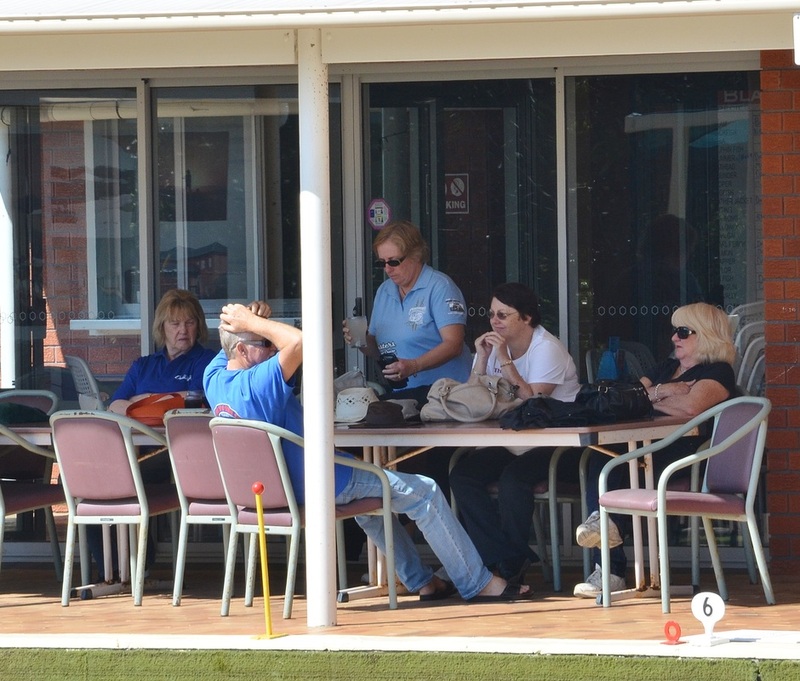 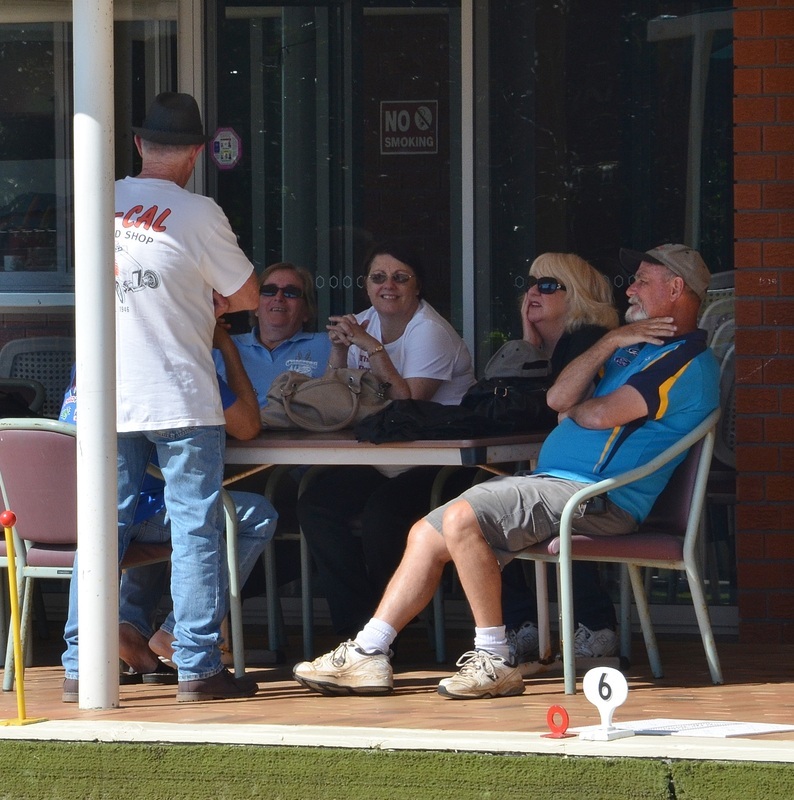 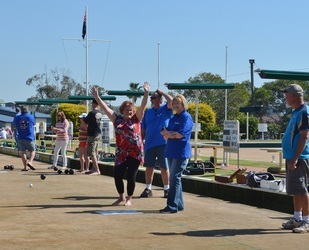 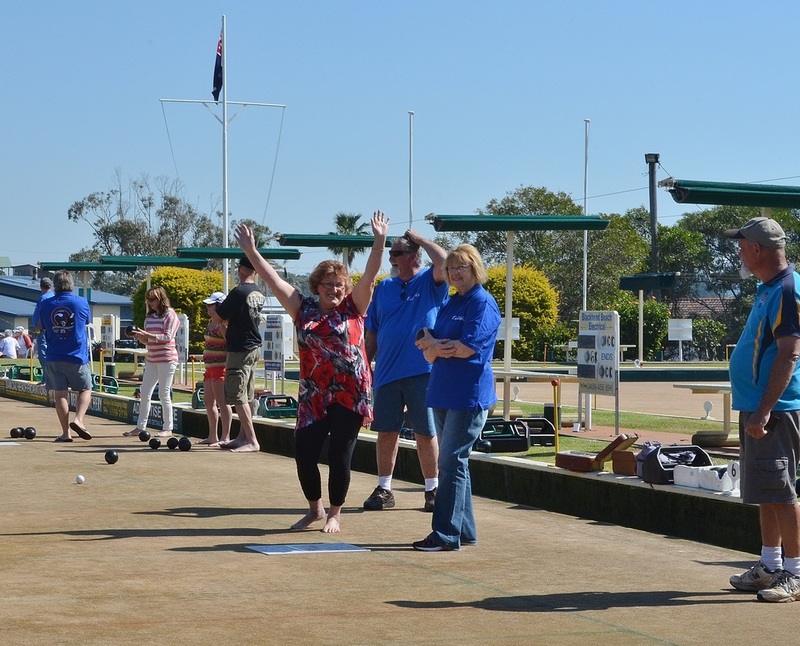 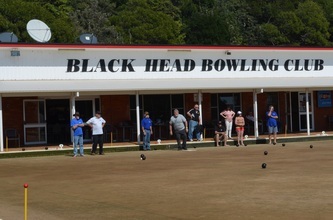 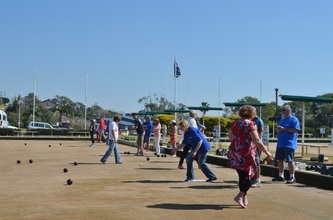 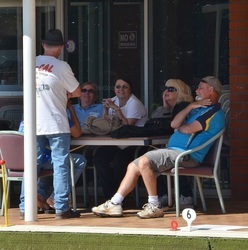 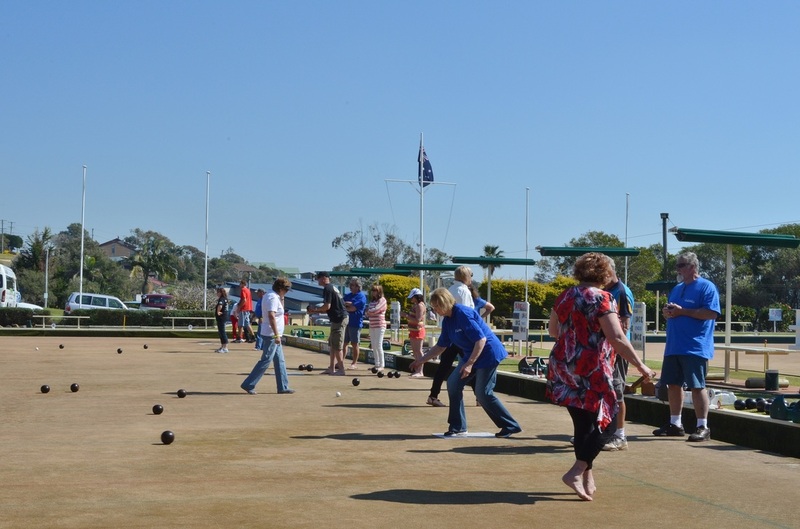 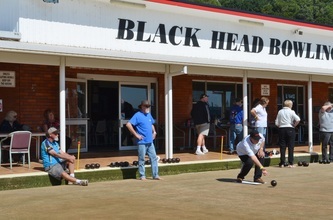 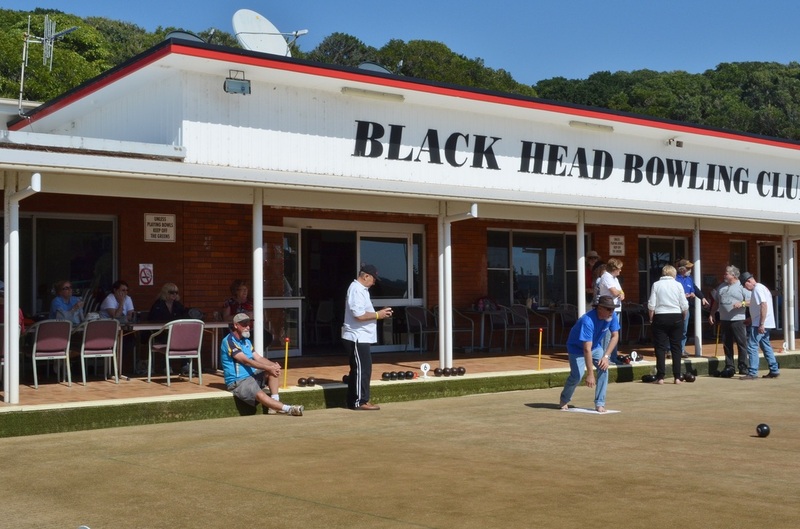 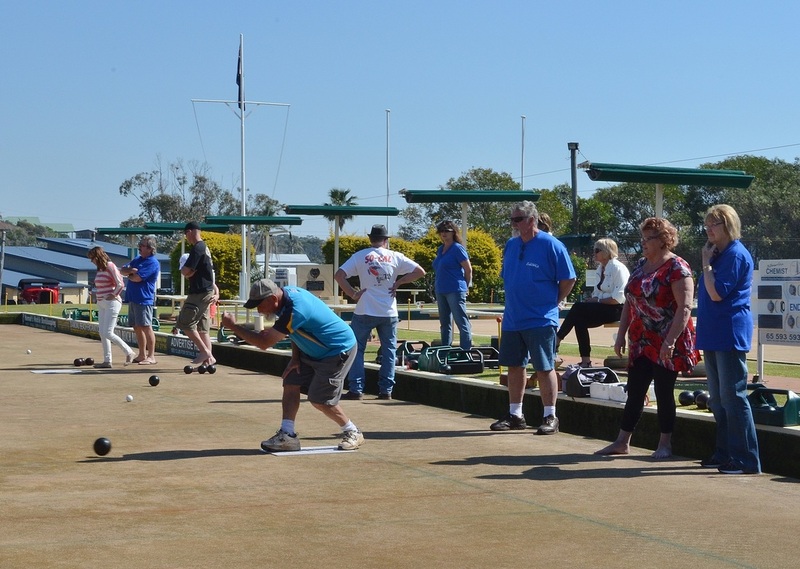 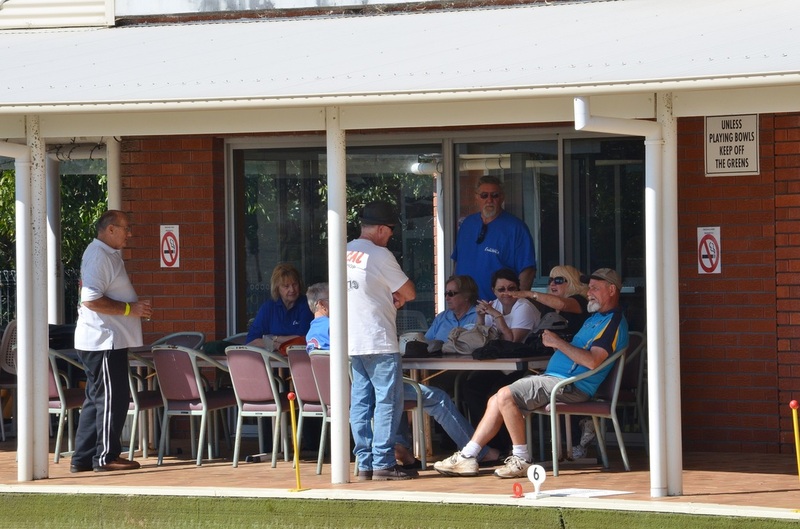 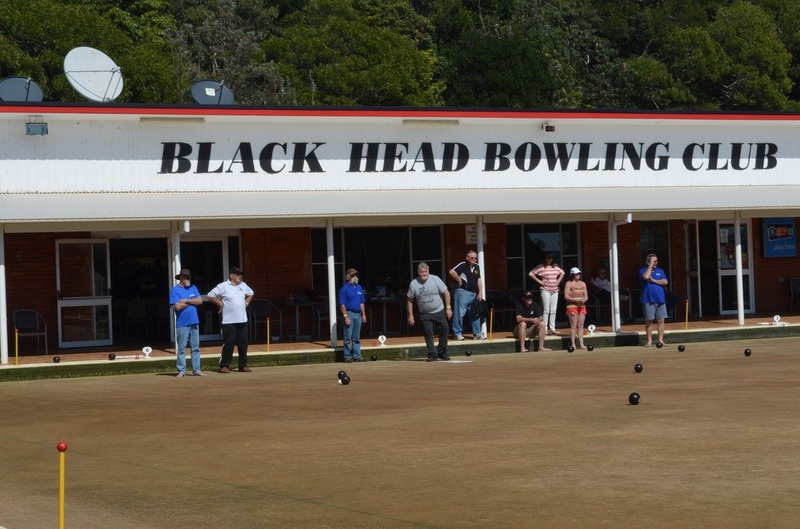 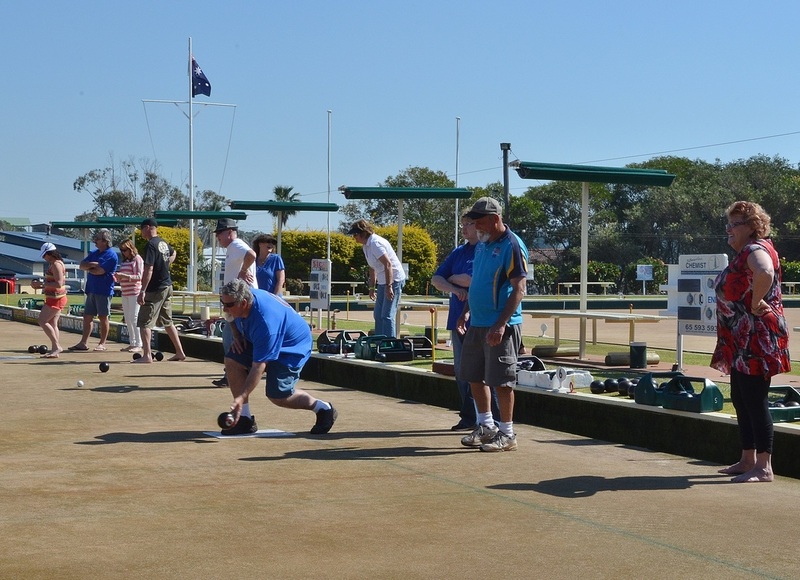 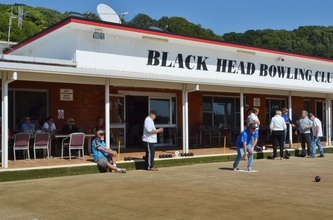 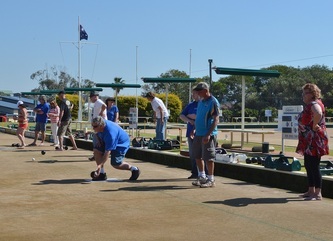 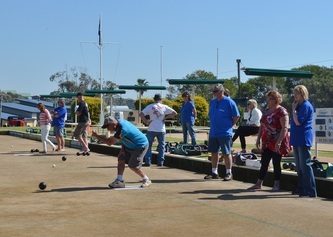 Sunday's barefoot bowls was down on numbers to previous years but those that enjoyed themselves and had a good lunch at the club. 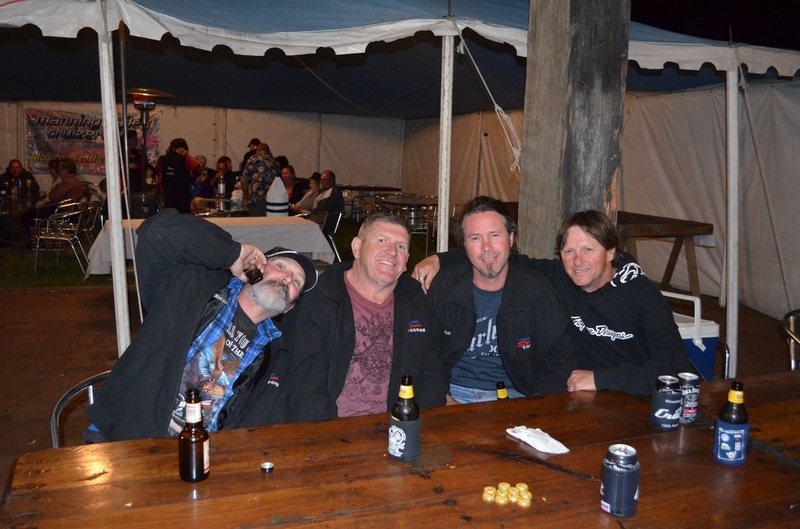 This event is so well liked and in such a good spot that four of our members spent 2 weeks there rather than just a weekend. 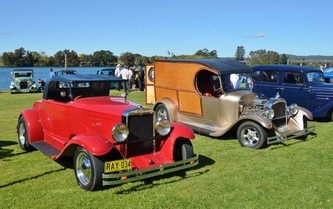 Maitland Street Rodders took out best represented club for the third year in a row as well as Neil, Paul and Claude winning 3 of the top 5 awards. 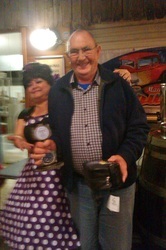 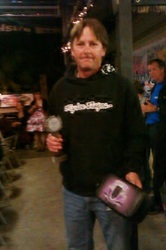 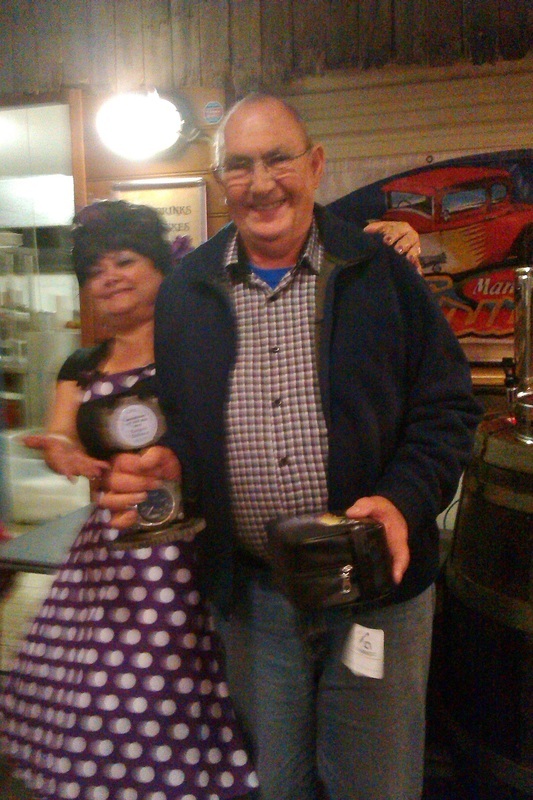 Noel took out best dressed and our friend John took out longest distance travelled. 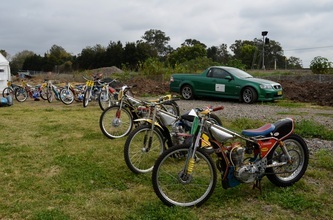 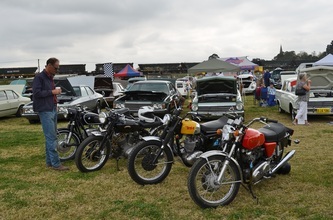 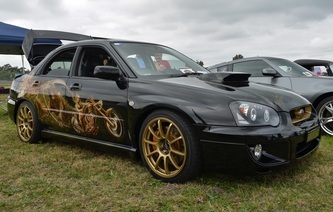 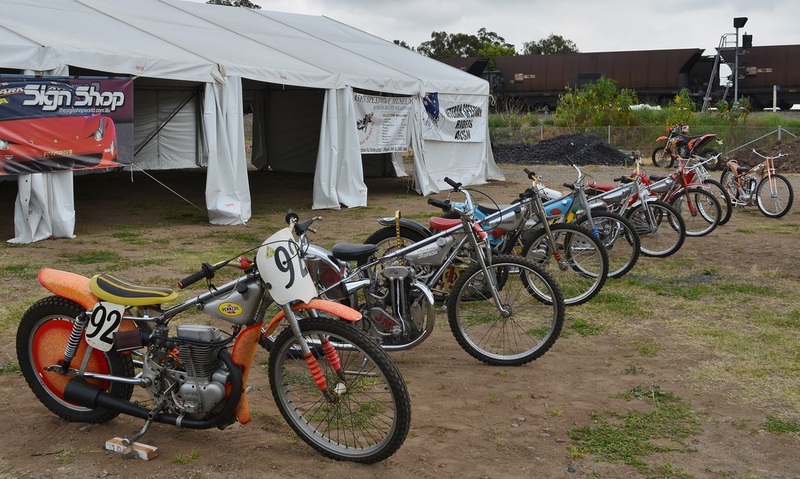 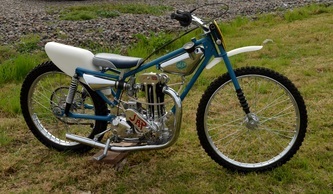 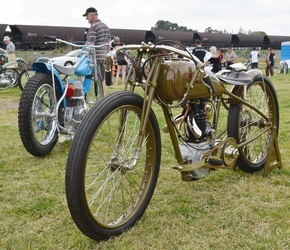 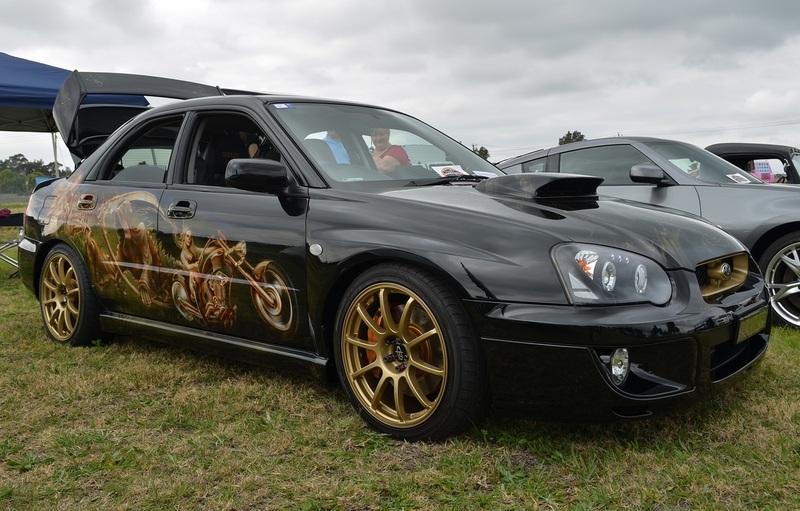 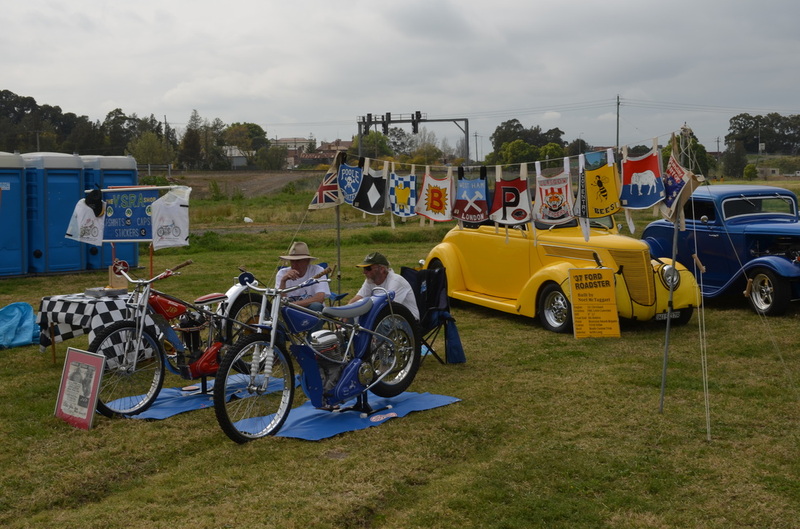 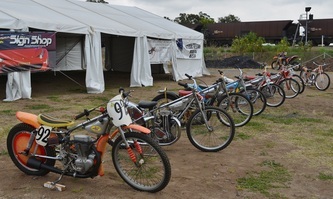 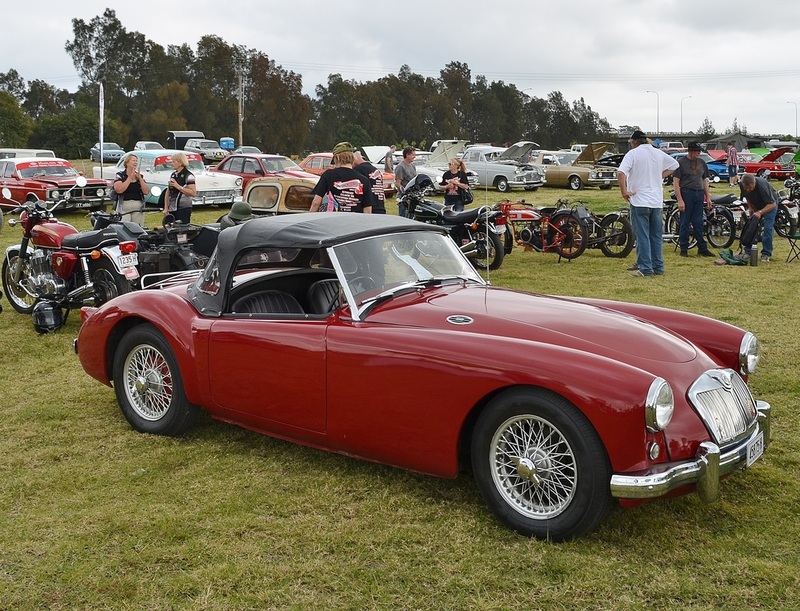 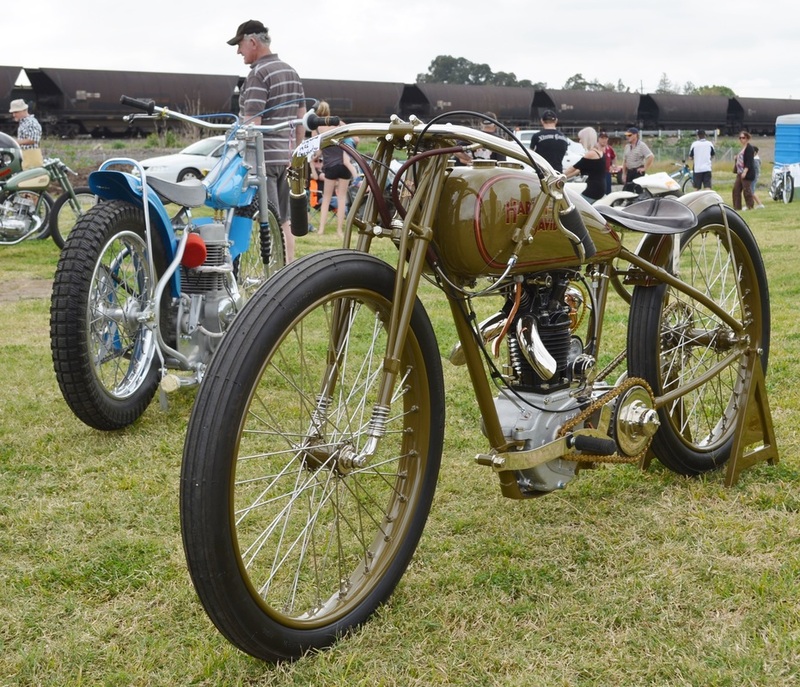 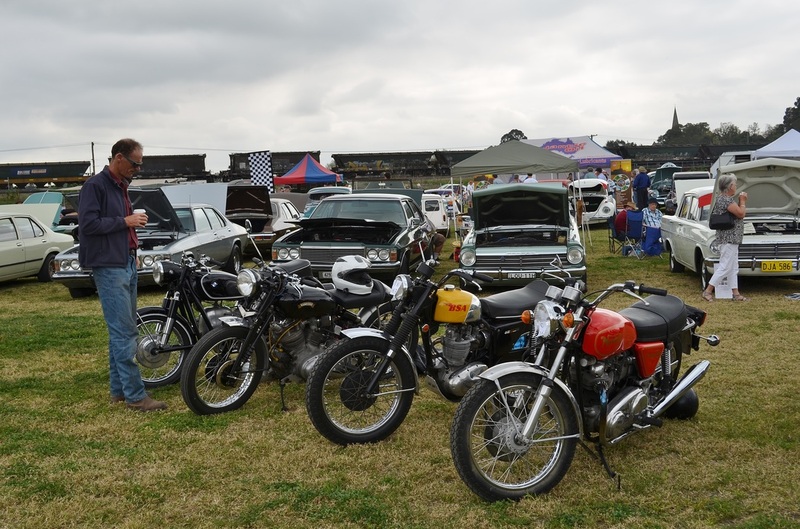 Maitland Motorfest held at the Rally Ground near Maitland Railway Station saw about 100 bikes and cars turn up for the Sunday Show and Shine. It was an overcast day with no rain and plenty of different machines to look at with some you never see at other shows. 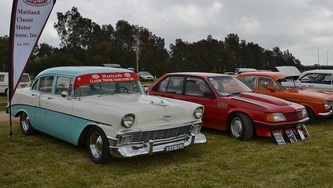 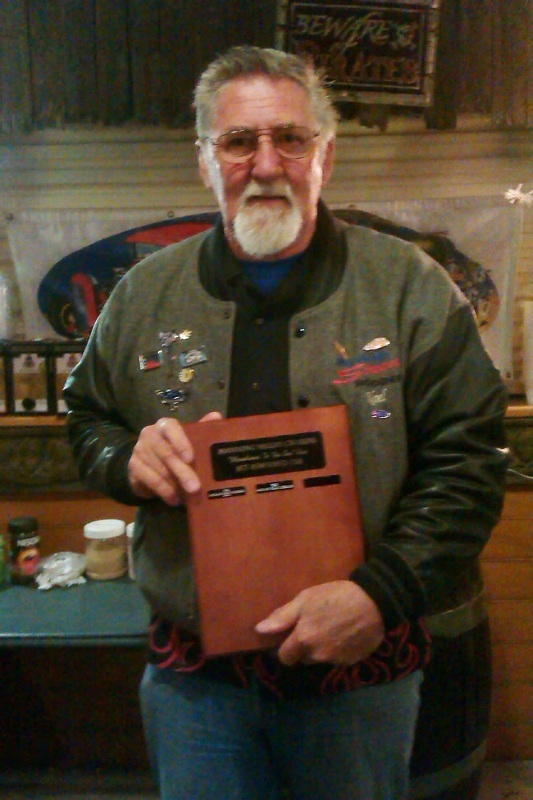 Those that attended had a great day and in the hot rod category Maitland Street Rodders took out the three trophies on offer.